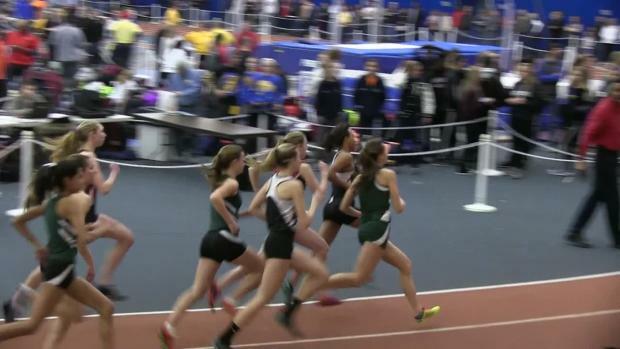 We will note winners and highlights as well as the team score race for each group. 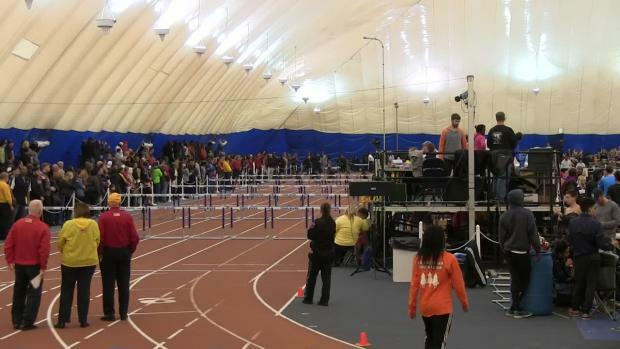 Congratulations to all that advanced! 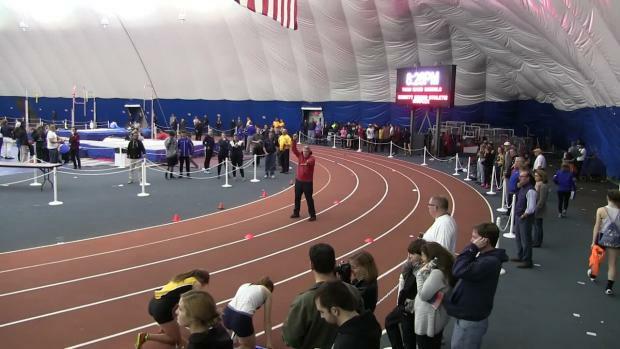 Live updates and team score watch! 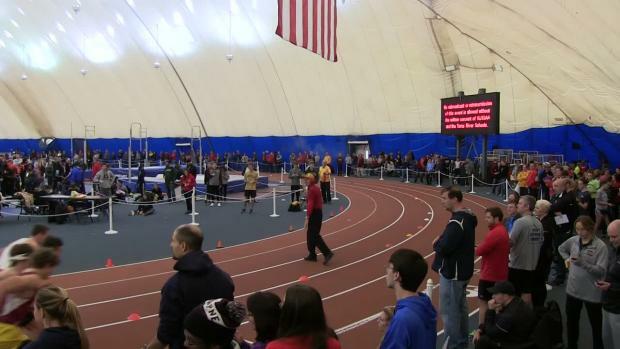 Vote for the most impressive kick of the weekend! 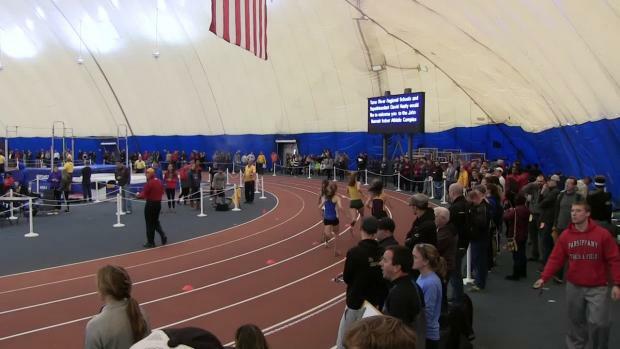 Place your votes for who you think put forth the best performance! 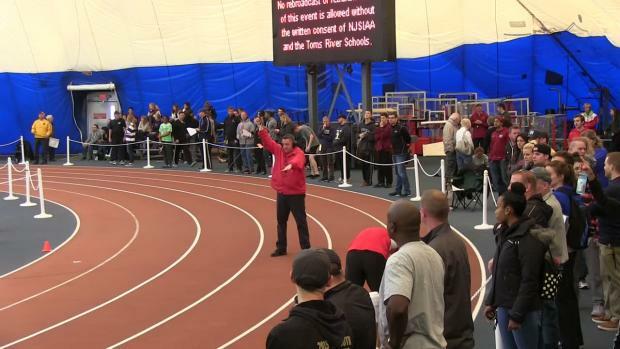 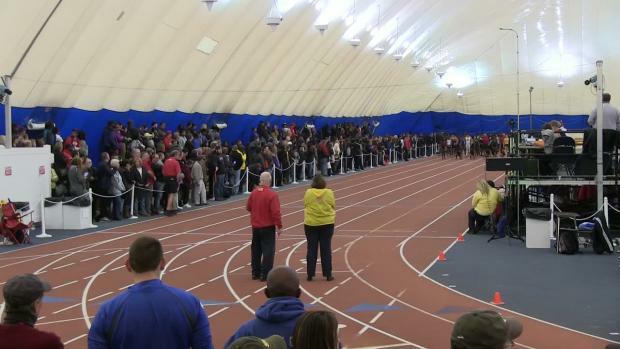 The NJSIAA will hold its second straight 200 meter showcase at the Meet of Champions this year. 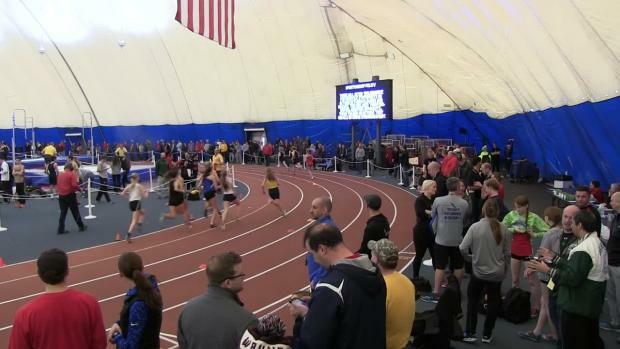 Results merge from all the Group 3 Sectional meets. 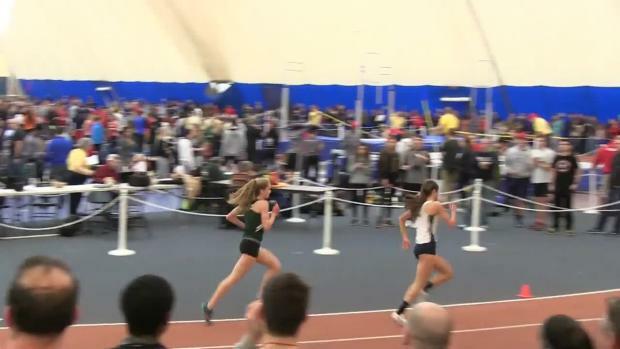 All the state sectionals have been completed and the state's World Youth Champion has returned rewriting their girls leading 200 and 400 meter times. 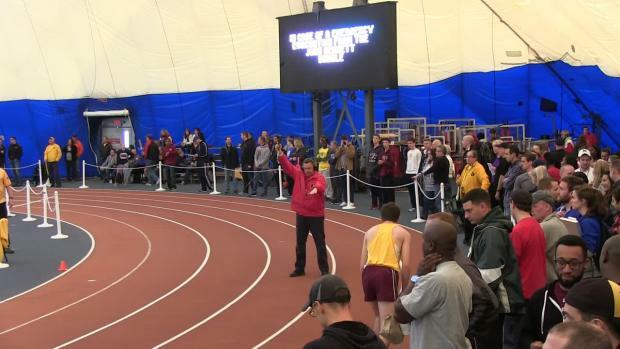 Photos of all the team winners as well as a breakdown of where their points came from! 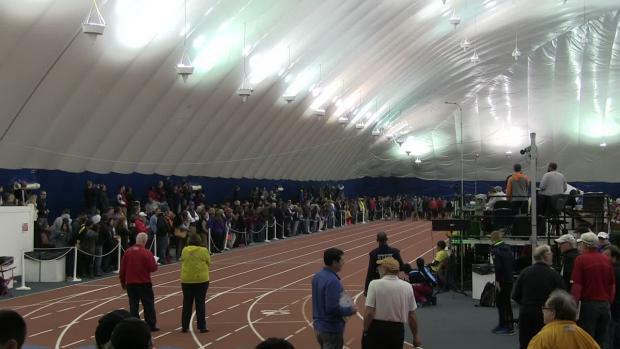 Links to all of our Sectional coverage!! 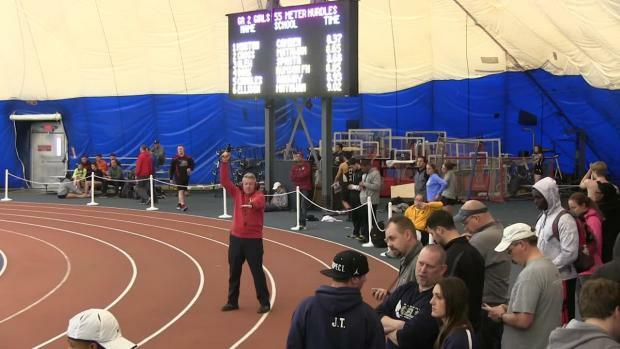 Find everything right here. 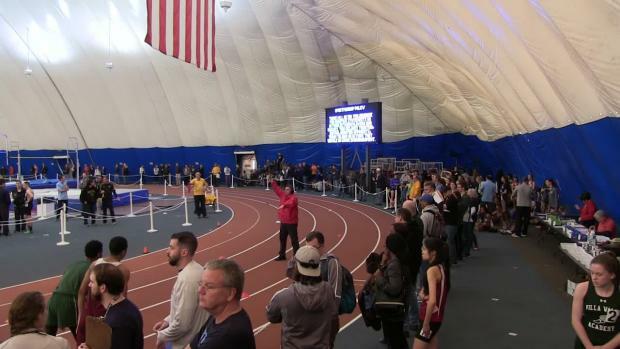 The Group Championships are here and we're ready to crown state champions! 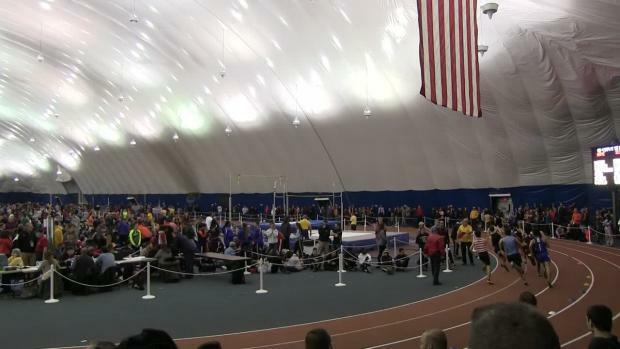 The NJSIAA has released opening heights for each Group Championship meet. 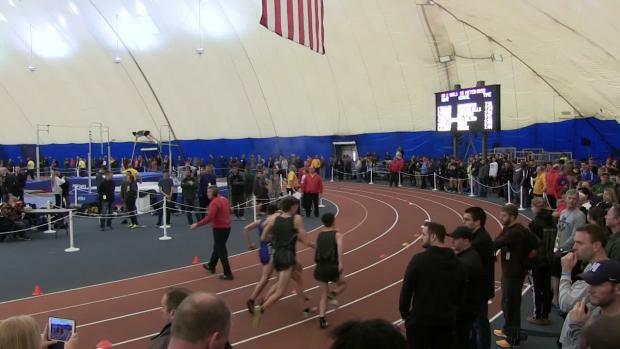 A full performance merge from all the group 2 sectional meets. 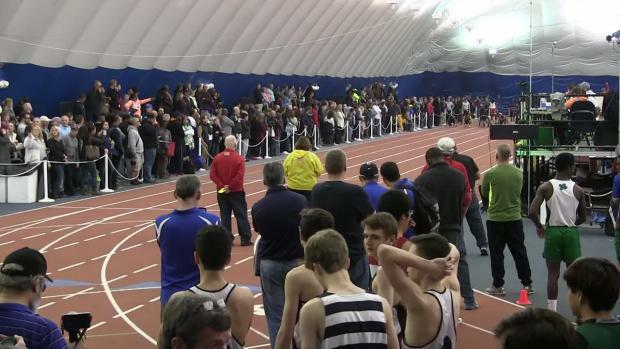 The top 100 in each event at Groups! 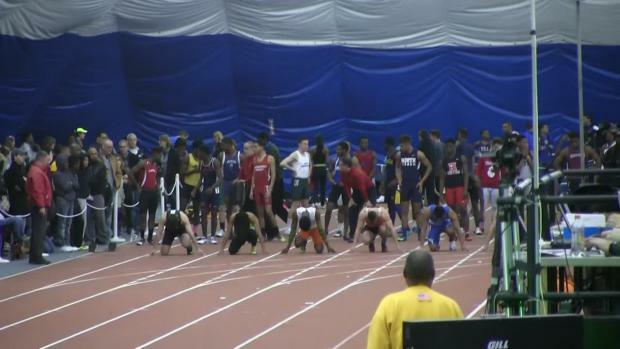 Link to 1000 deep lists as well. 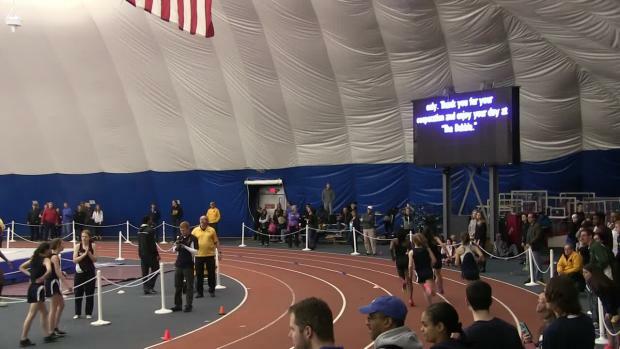 Just a week after opening up her individual season at North Shore where she ran 53.87 for US#1, Sydney McLaughlin won her Group Championship with a time of 54.36. 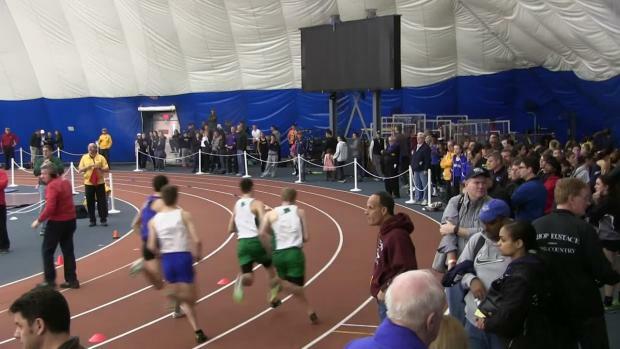 Merging all the Group 4 Sectional performances. 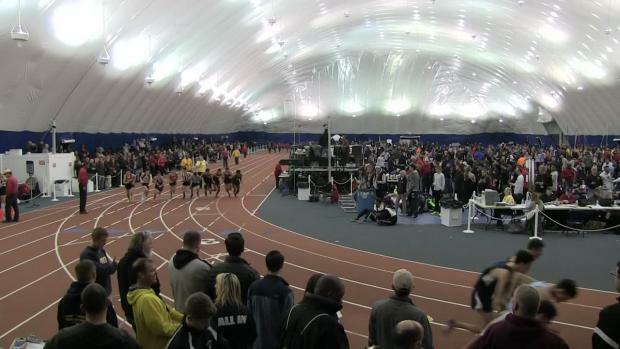 Watch the very best races from Groups 2 and 3! 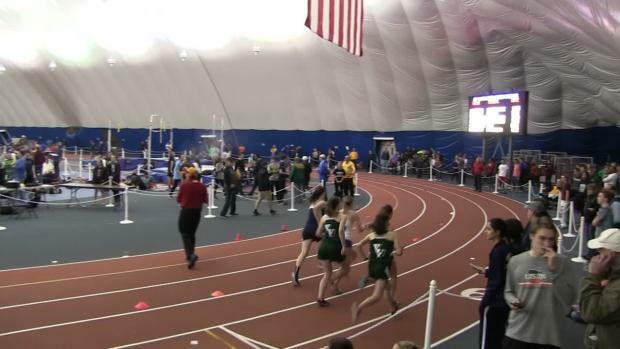 A results merge for all the Group 3 girls sectional meets. 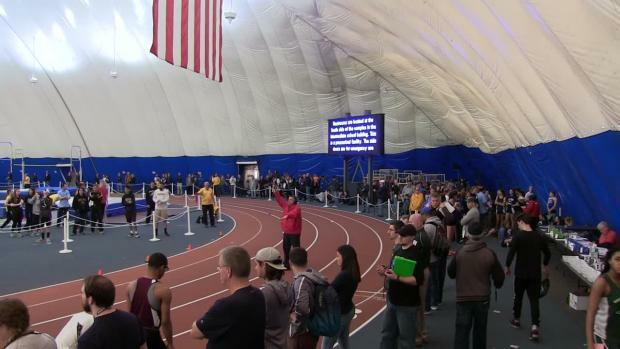 Virtual meets are previews based off scoring the best ranked for each event. 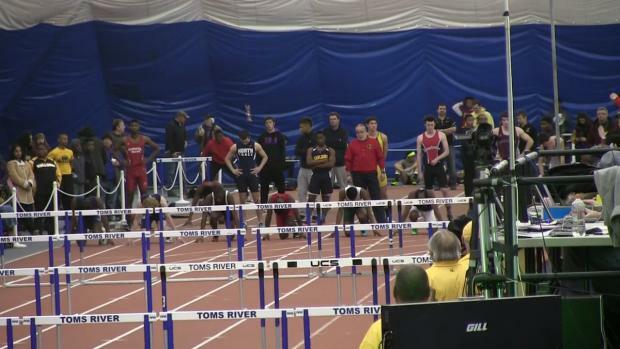 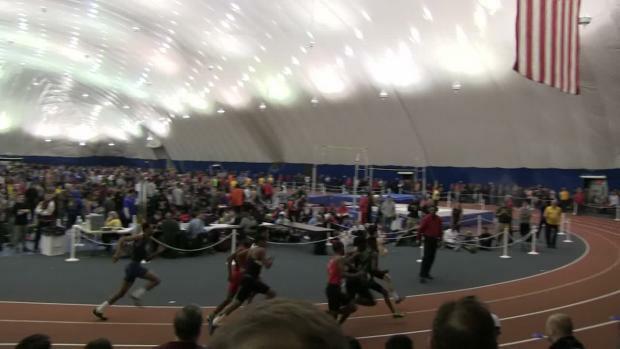 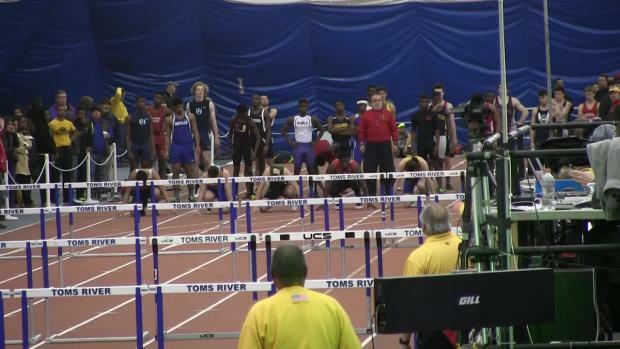 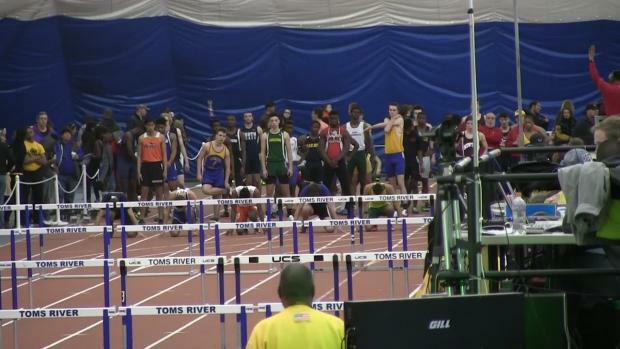 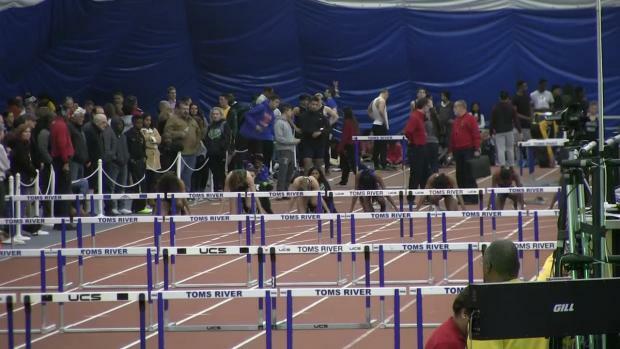 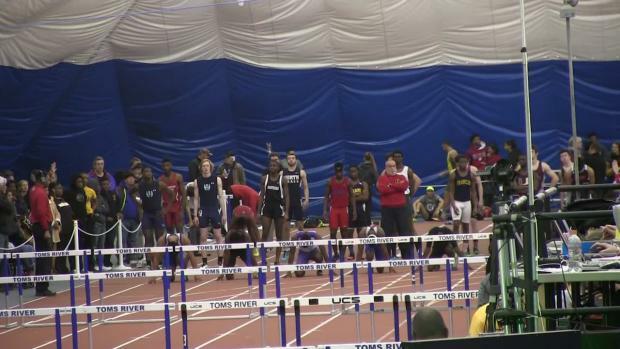 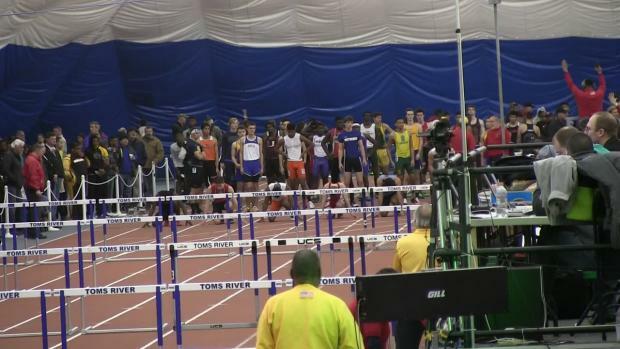 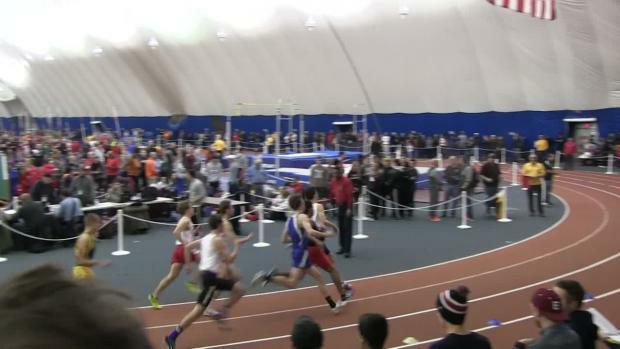 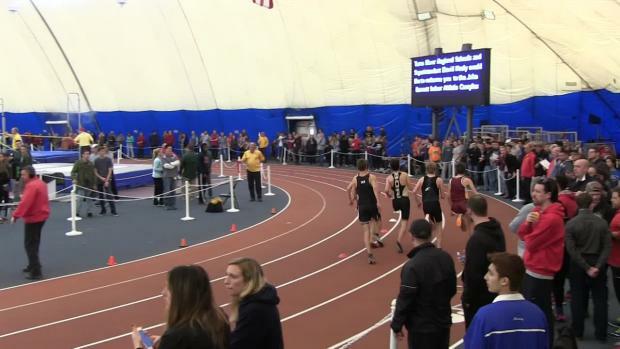 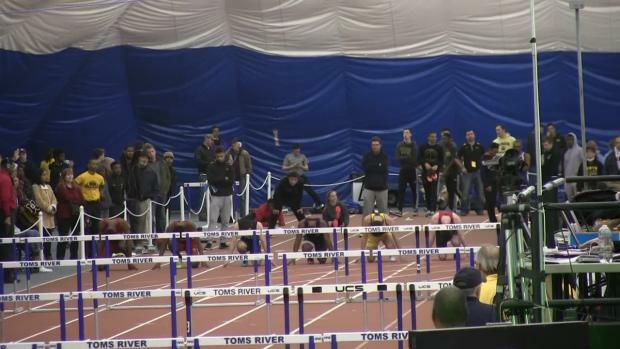 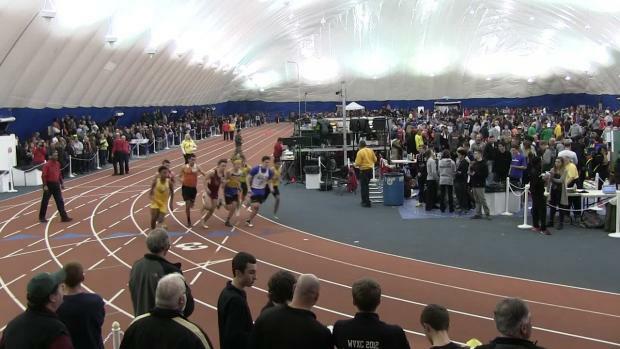 Watch the very best races from the Non-Public meets! 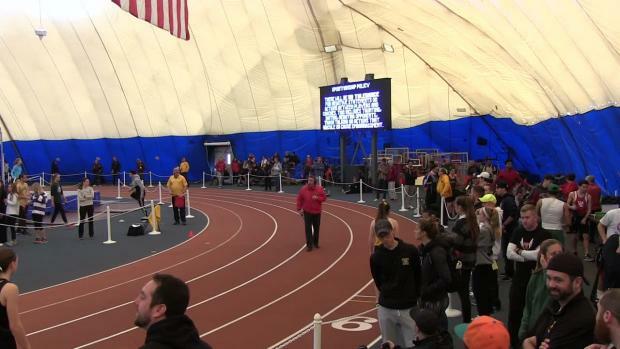 Merging all the Group 1 Sectional results from this weekend! 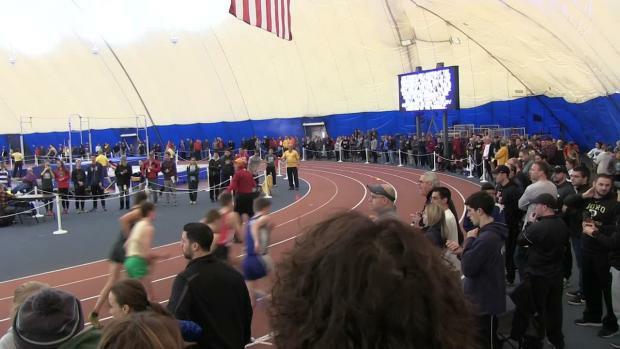 Merging all the Group 4 performances from Sectionals together. 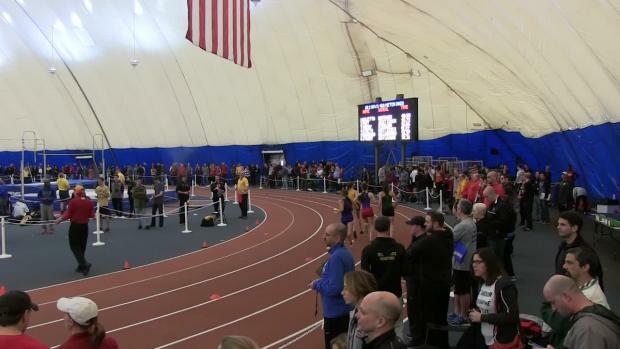 All the Group 1 results from Sectionals merged together. 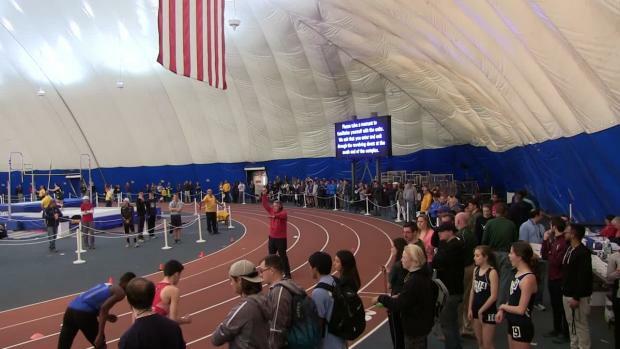 Results merge from all the Group 2 Sectional meets. 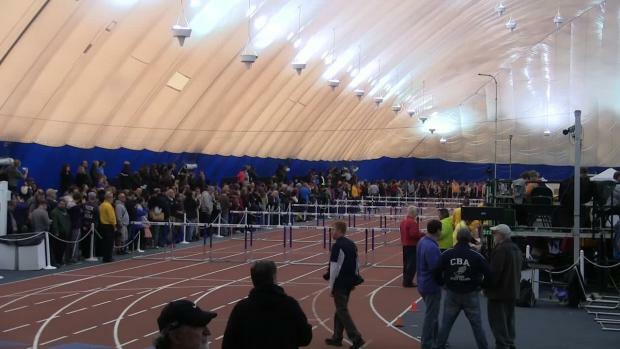 The top 100 in each state meet event combining Sectionals, Groups, and Meet of Champions. 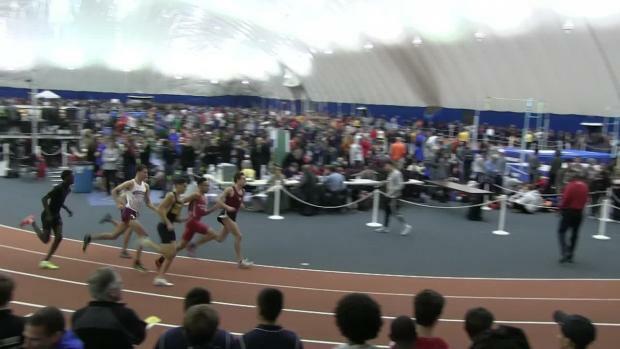 Haddonfield's Luke Colehower won his first state championship on Friday running 49.91 in the 400 meter. 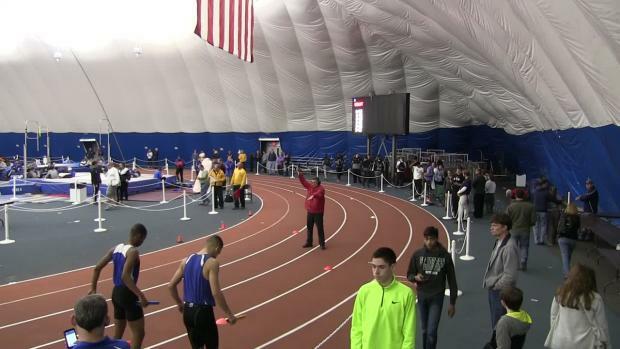 Rankings heading into Groups for the Non-Public B. 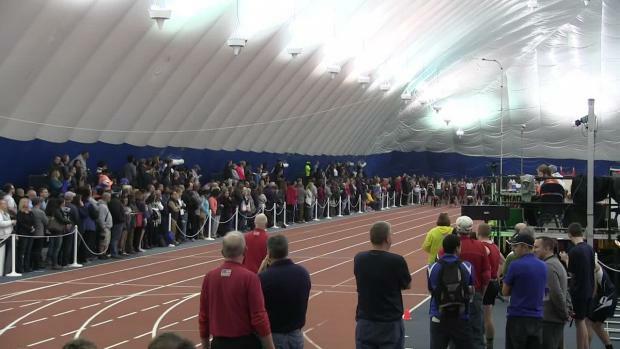 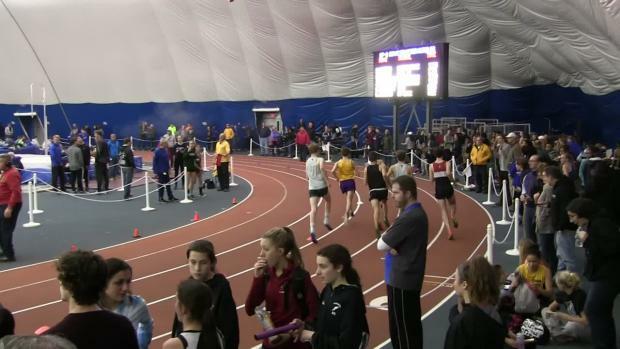 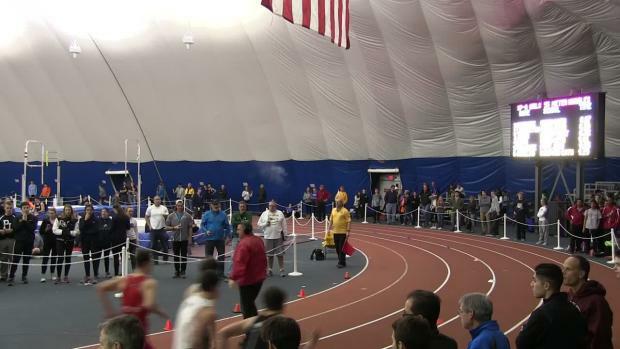 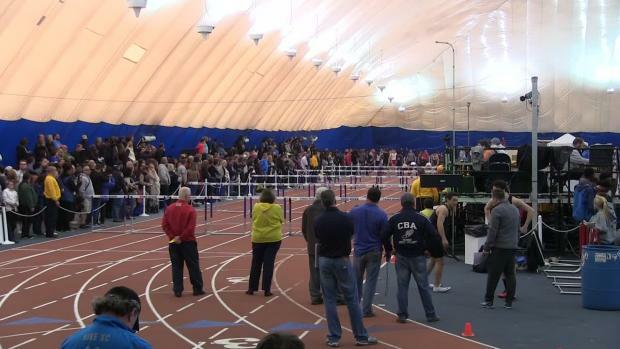 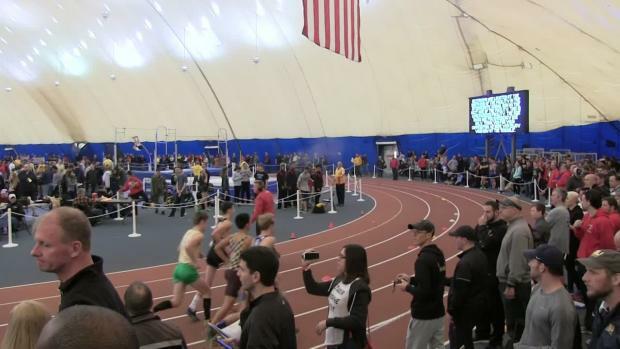 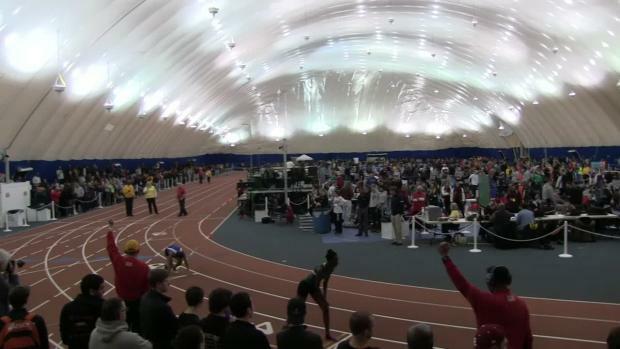 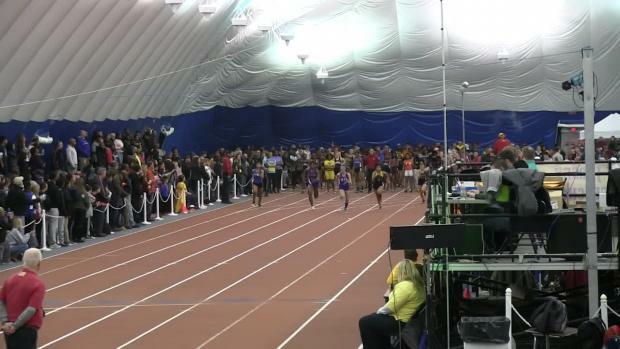 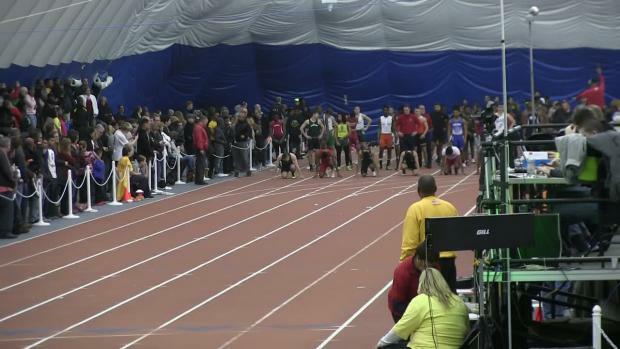 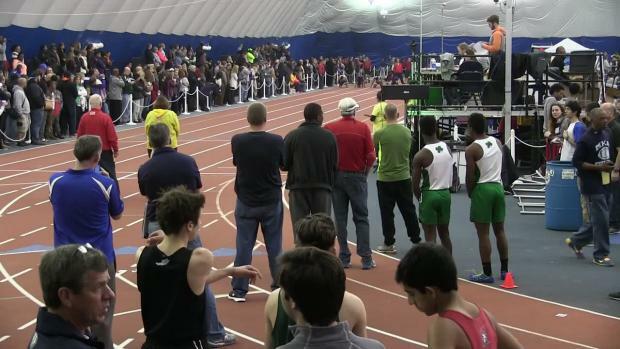 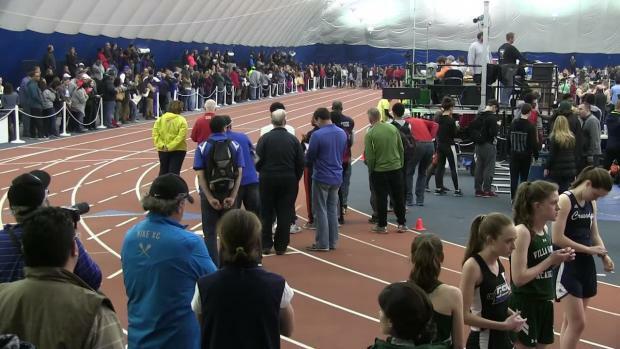 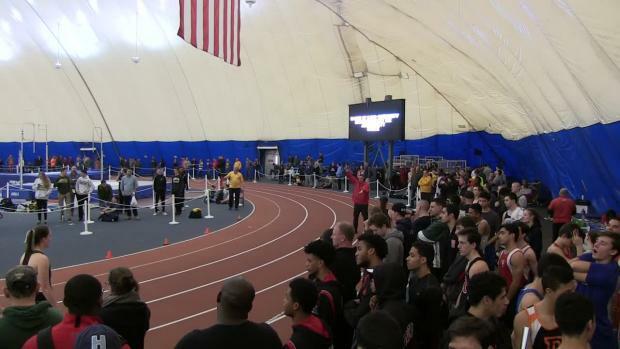 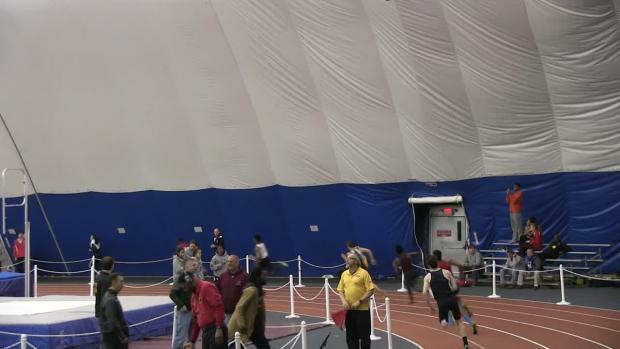 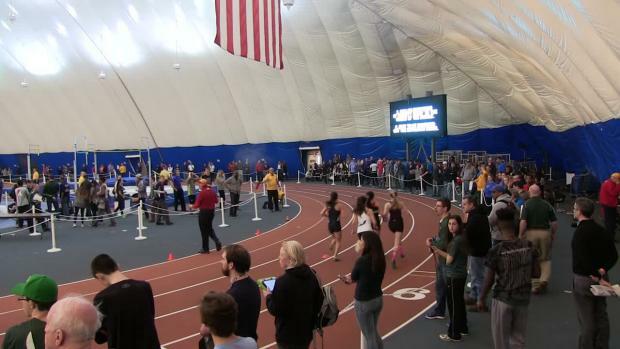 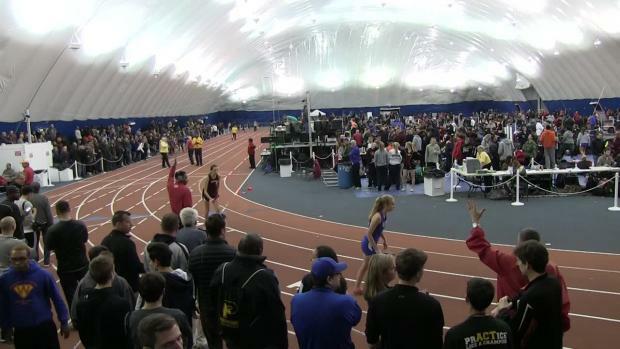 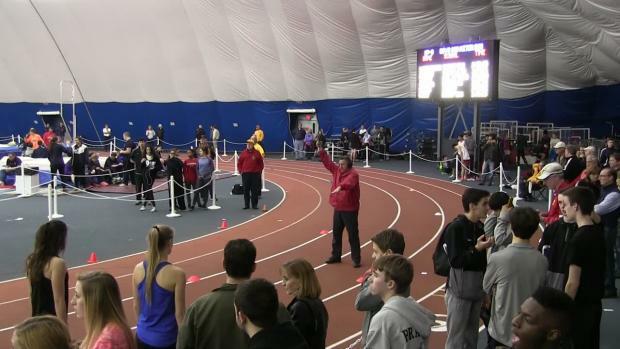 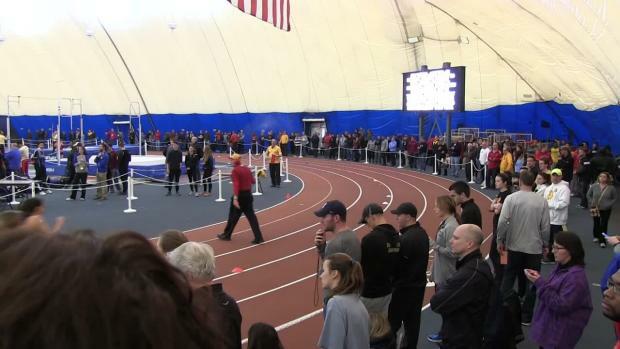 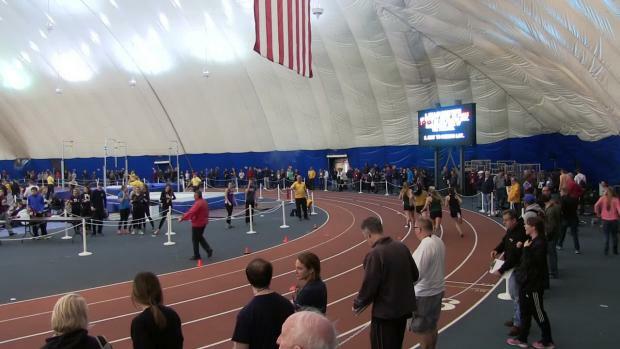 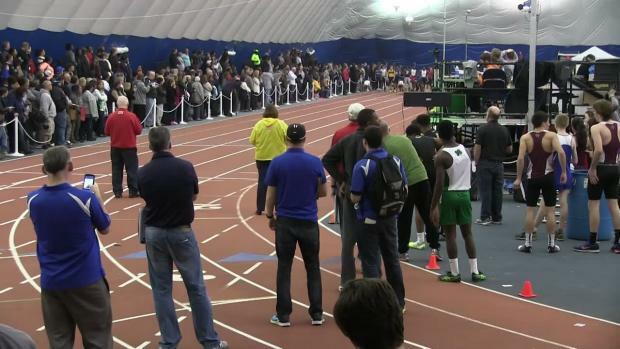 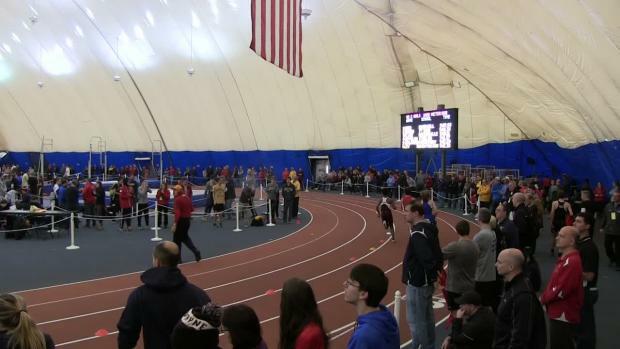 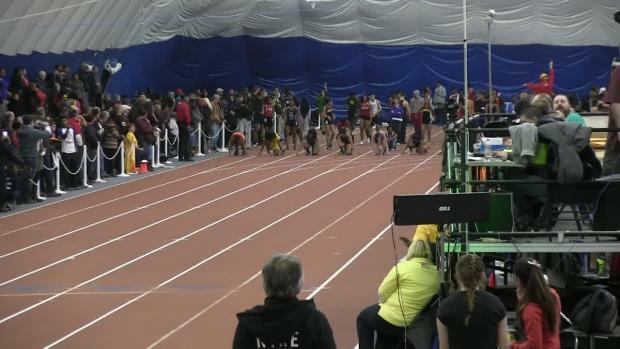 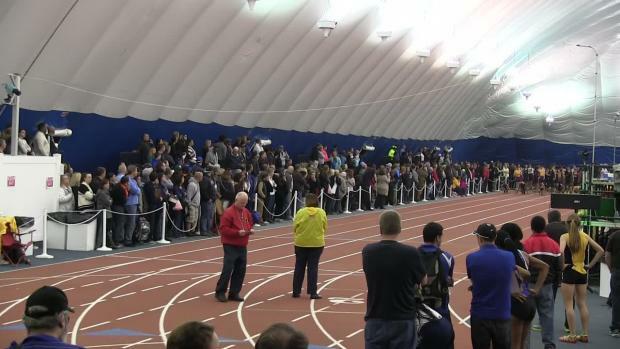 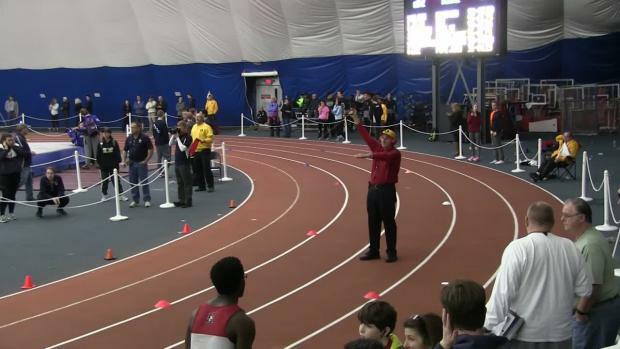 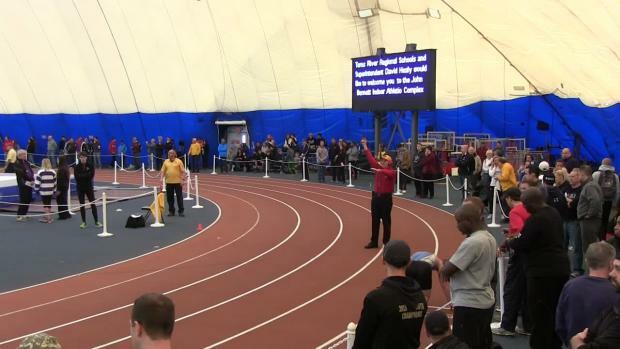 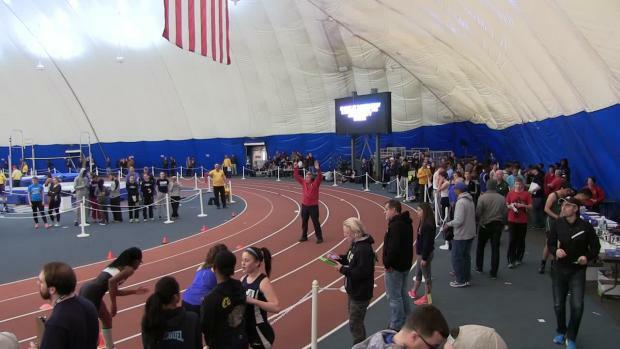 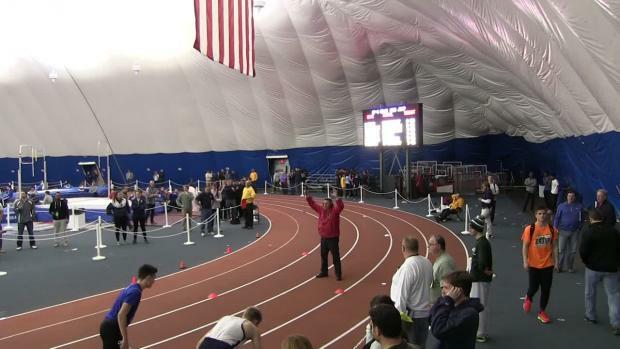 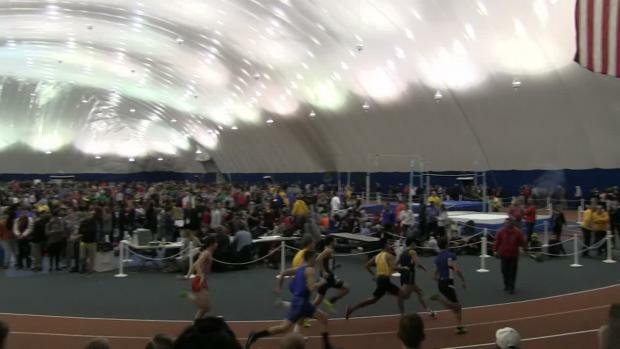 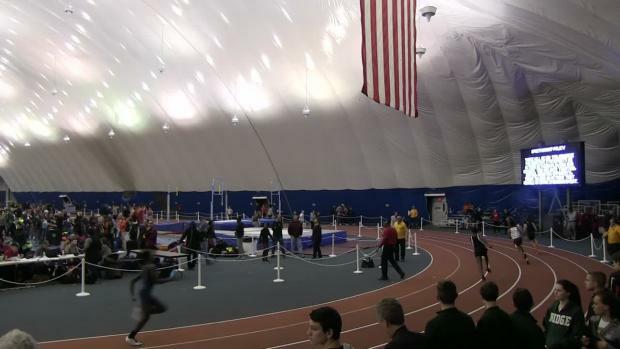 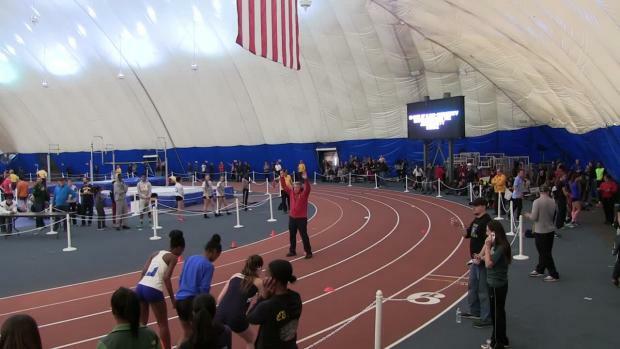 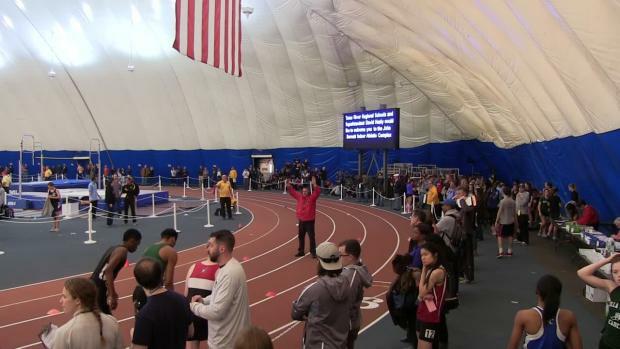 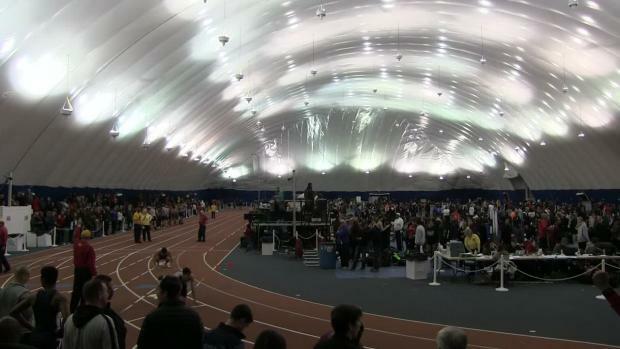 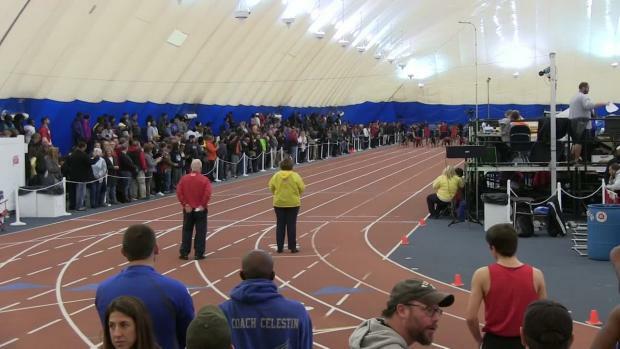 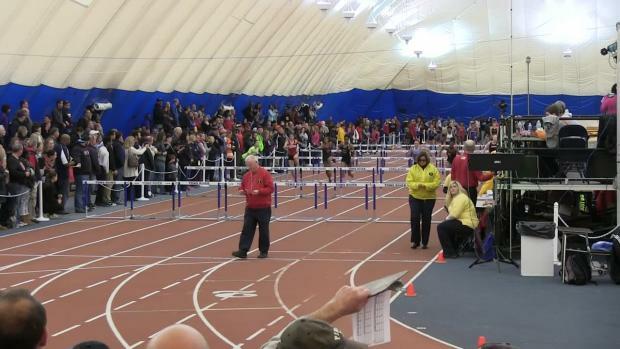 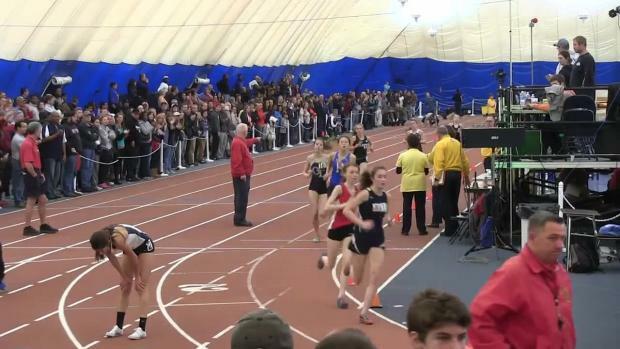 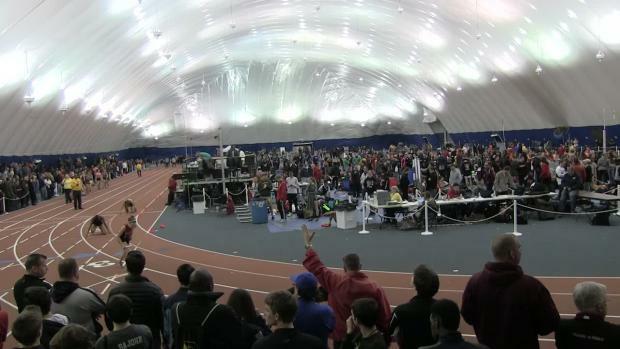 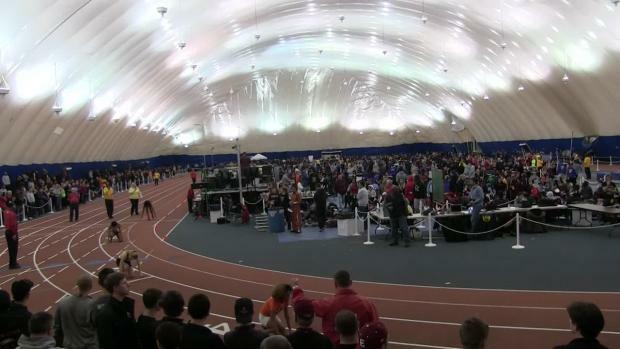 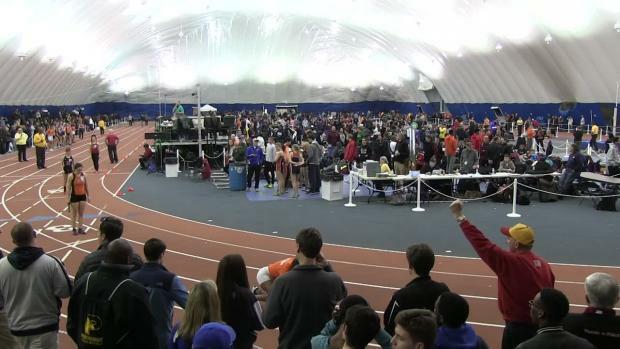 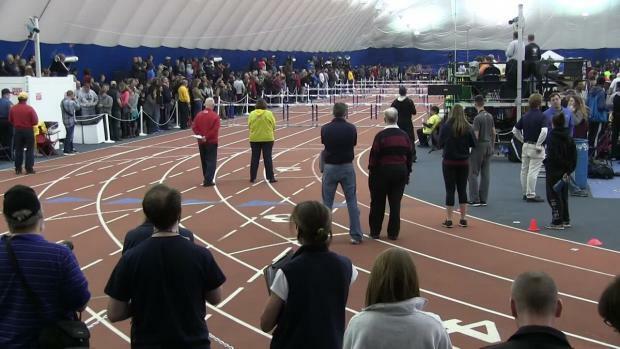 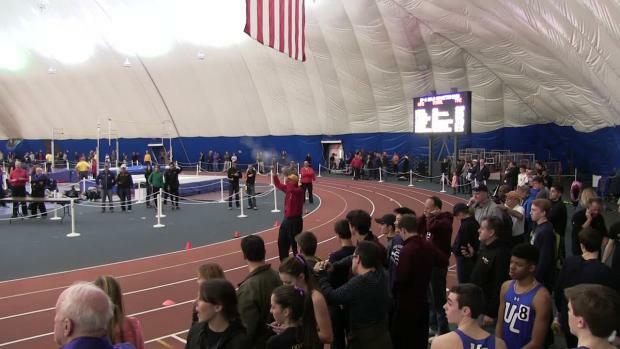 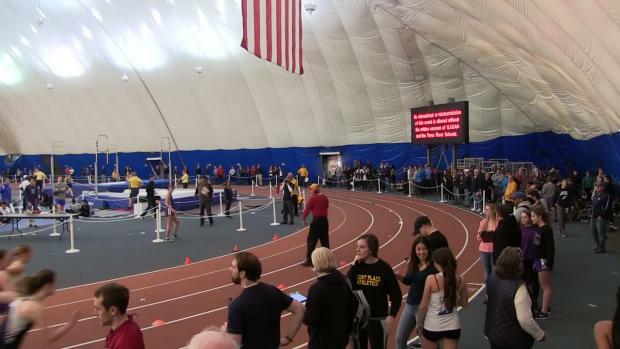 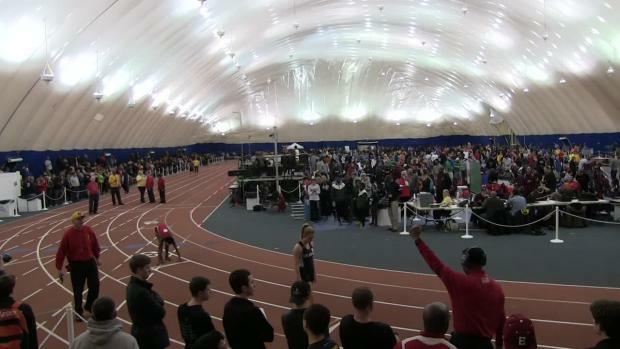 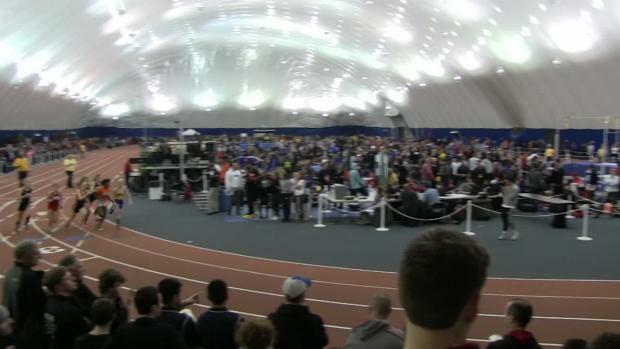 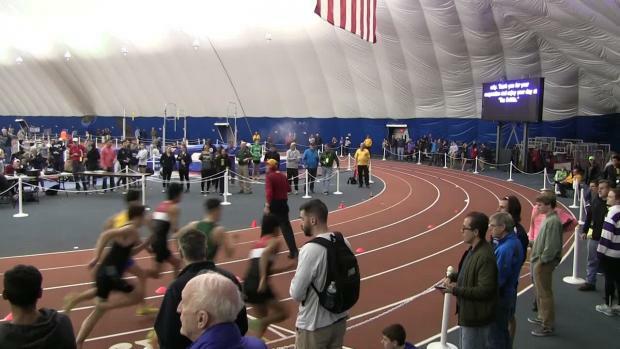 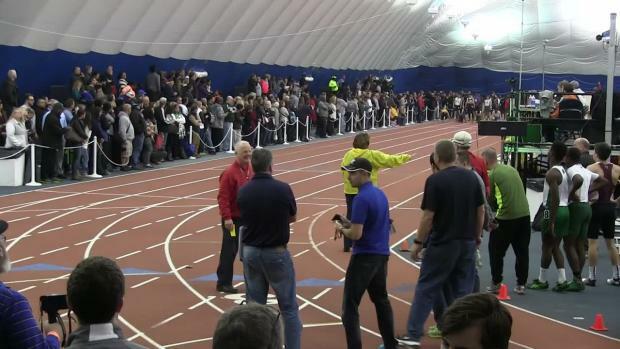 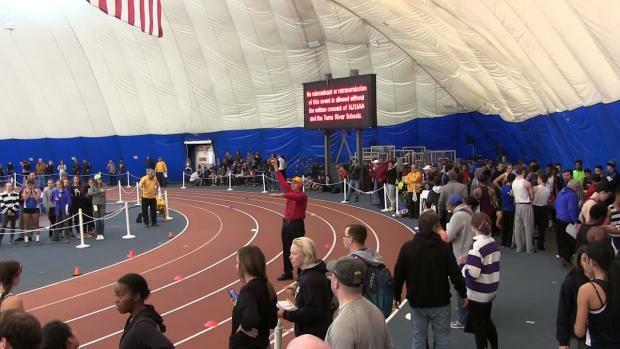 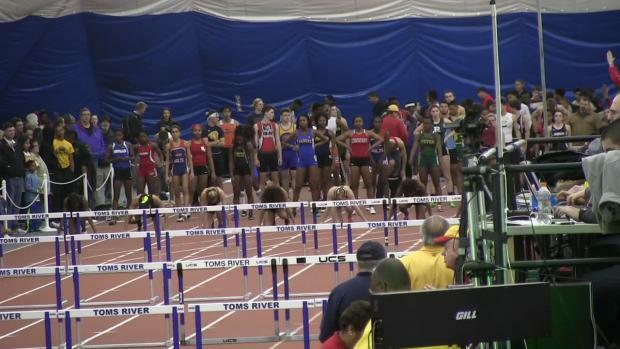 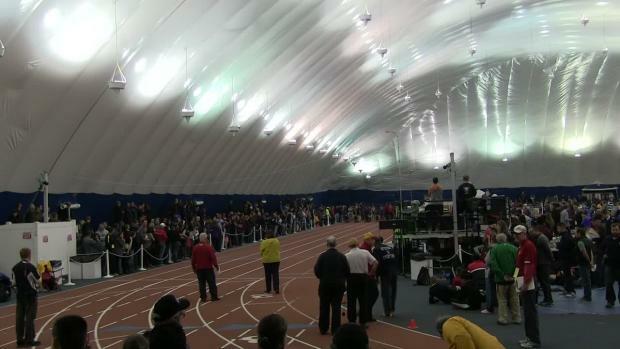 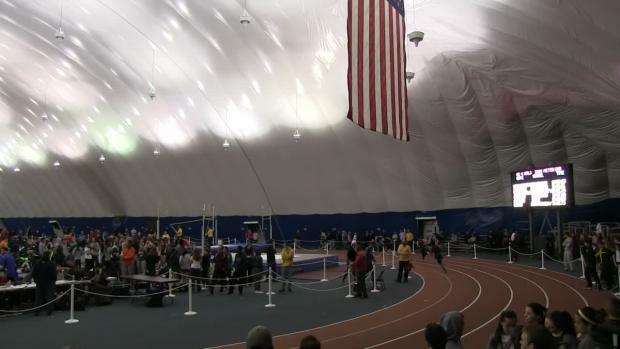 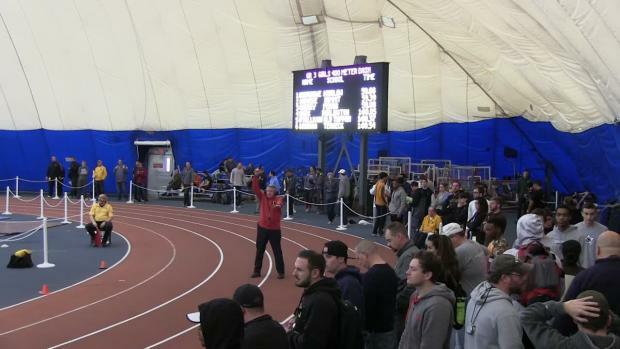 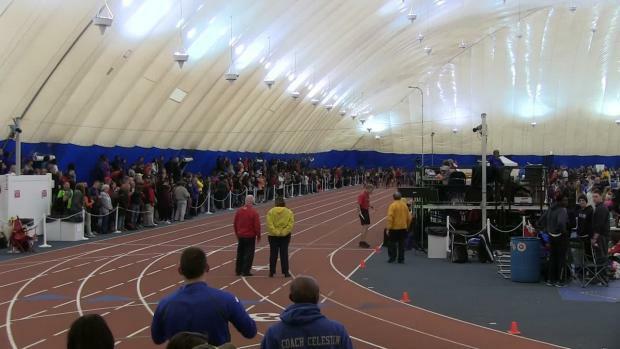 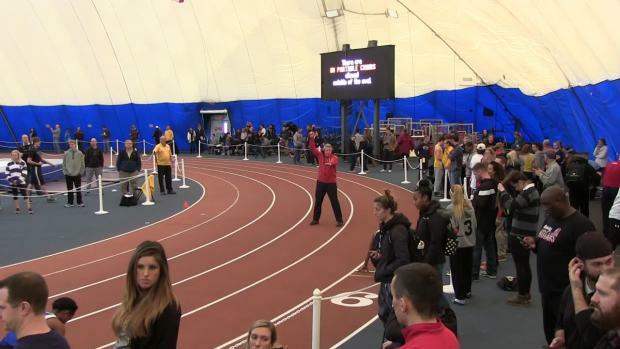 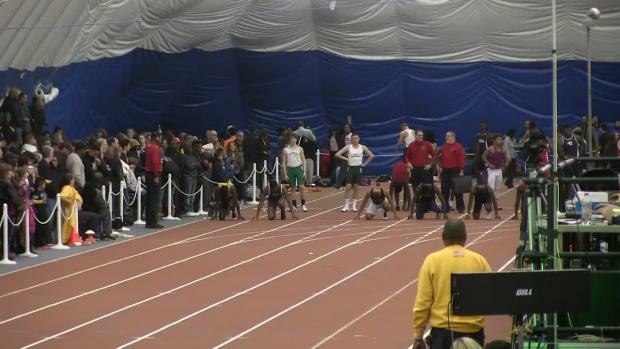 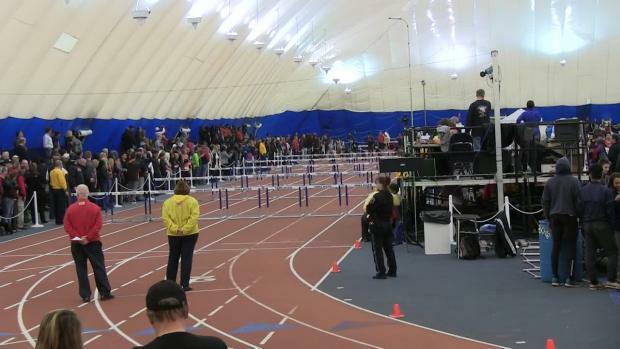 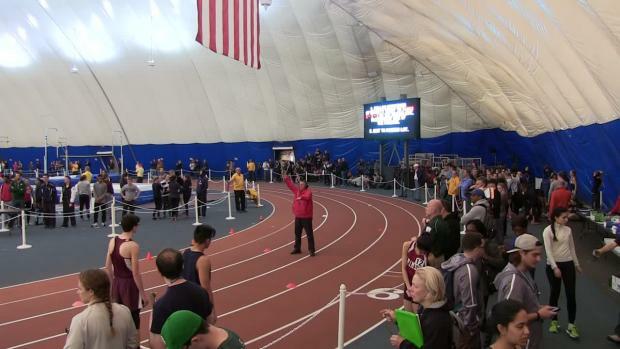 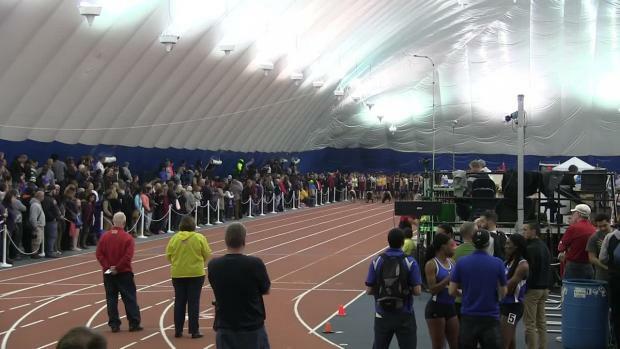 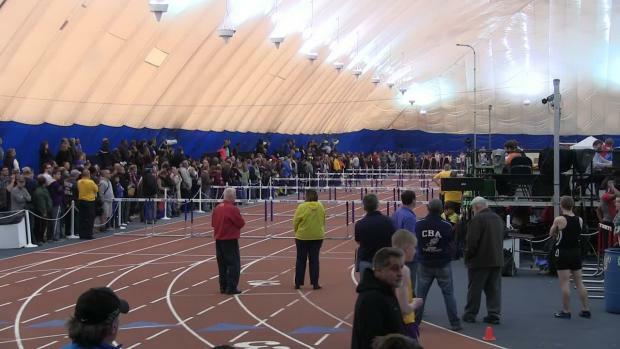 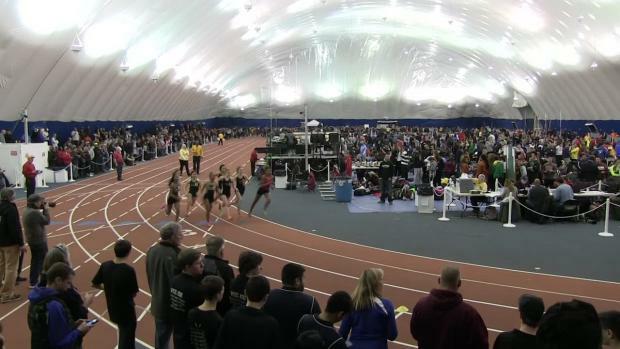 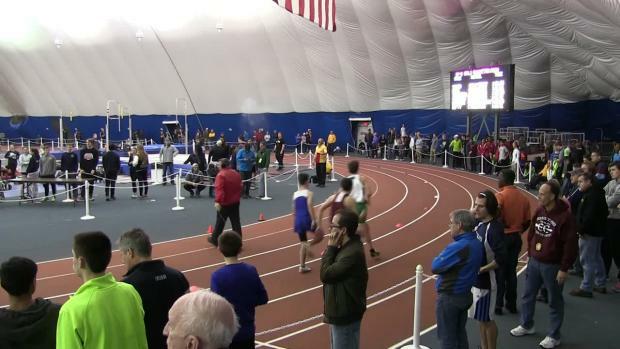 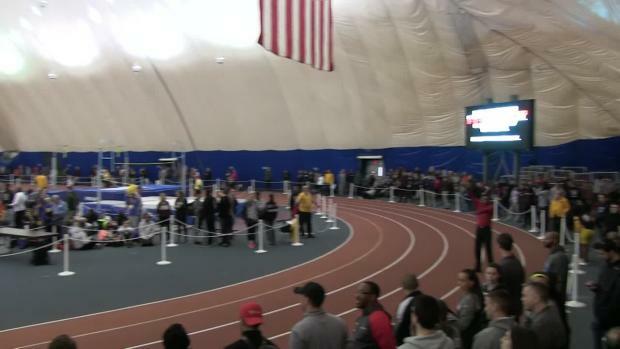 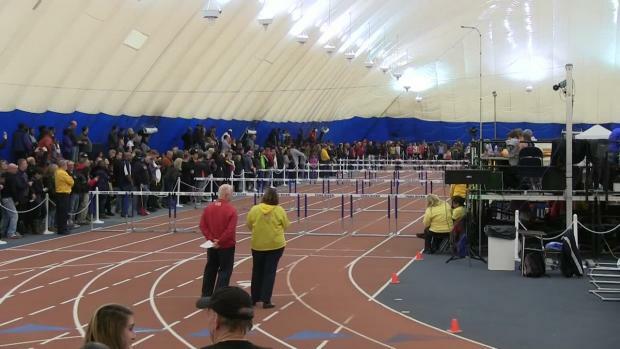 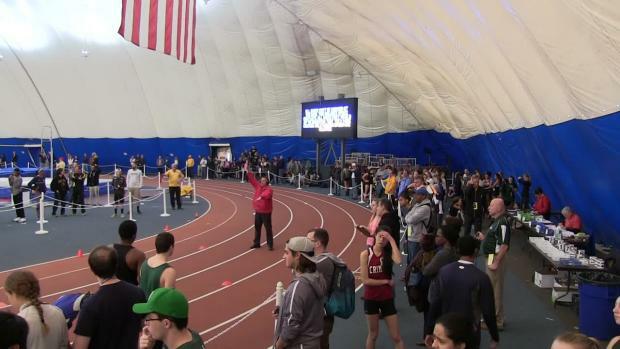 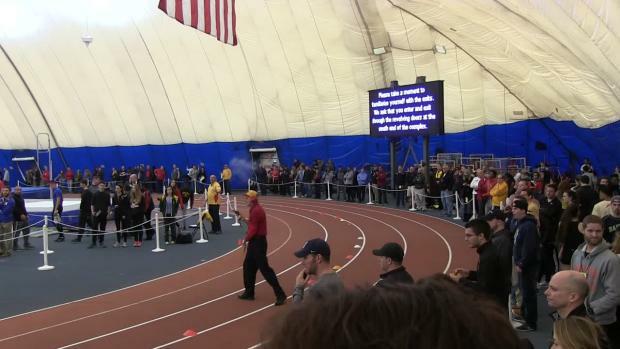 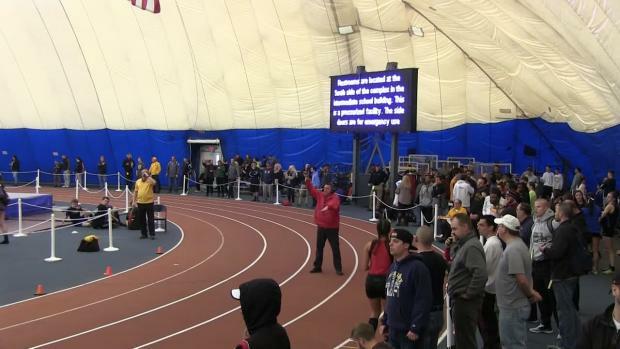 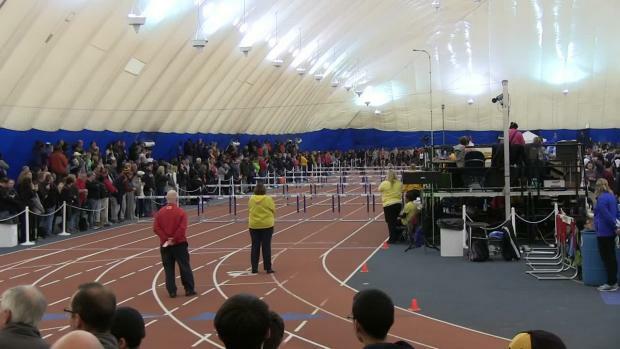 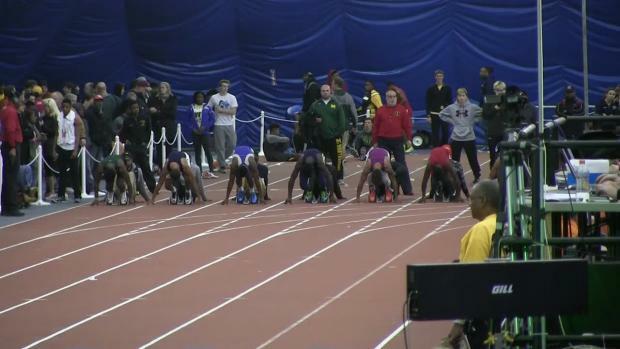 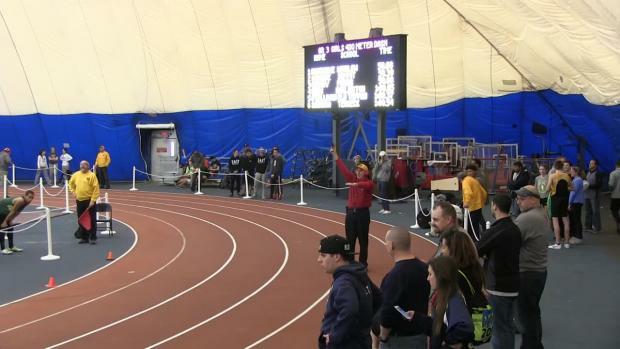 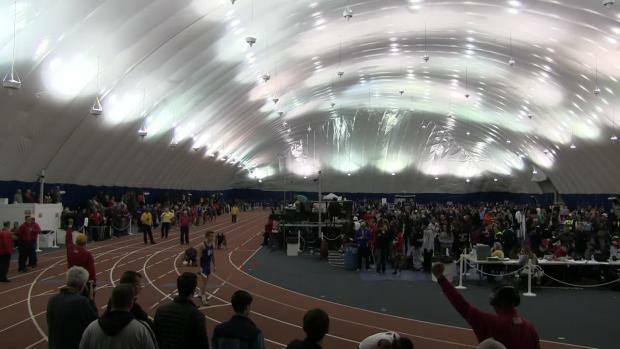 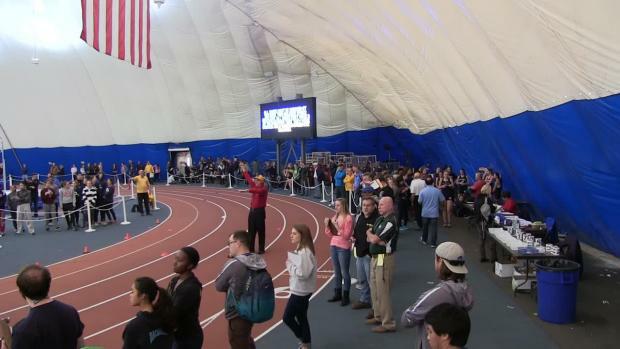 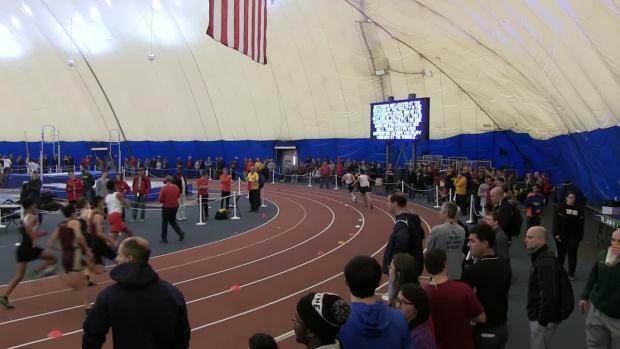 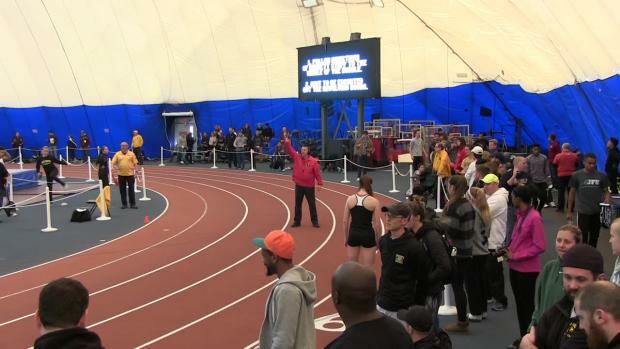 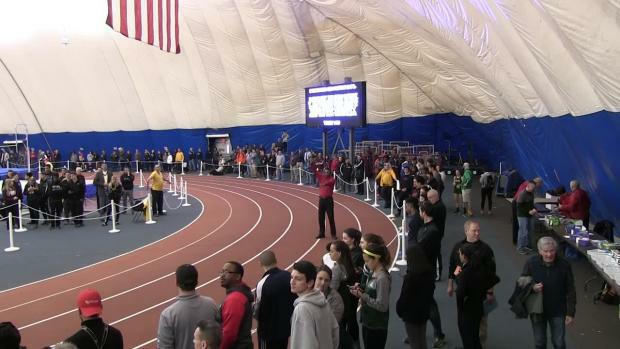 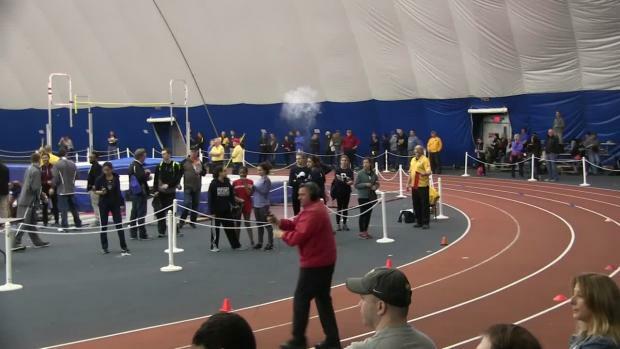 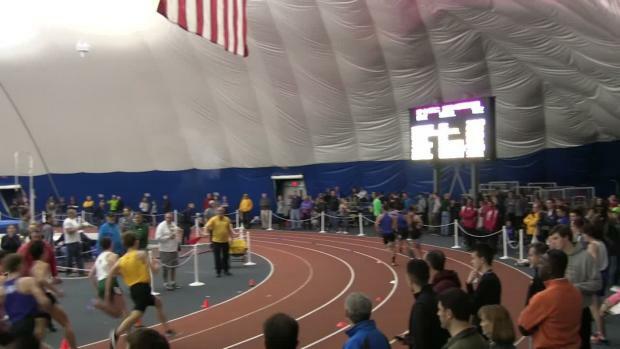 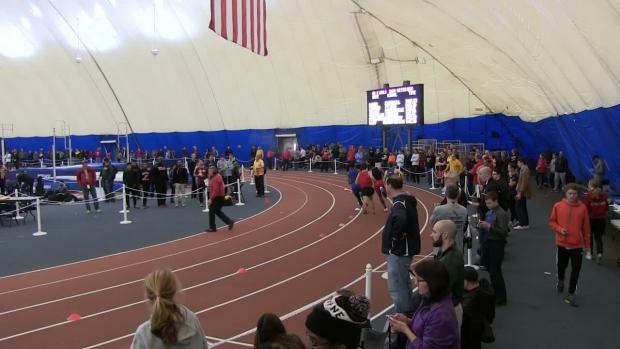 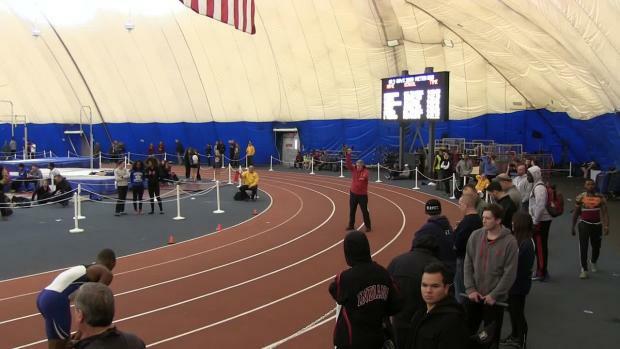 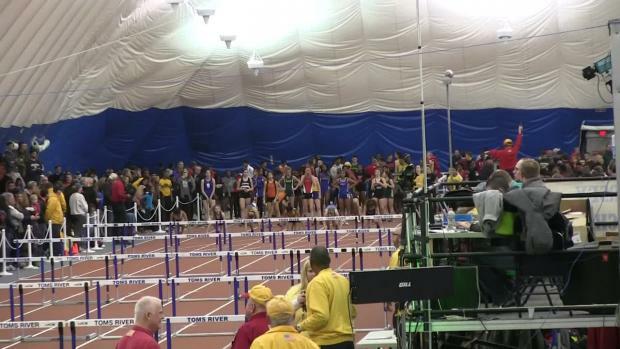 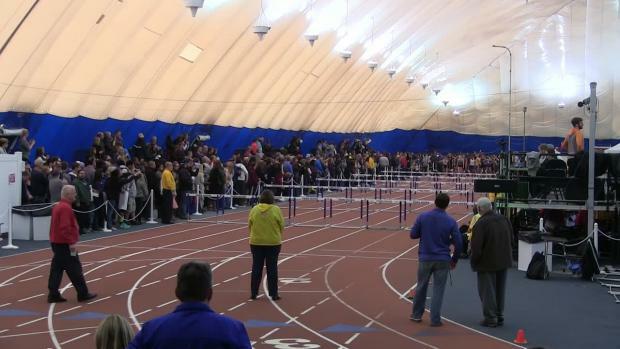 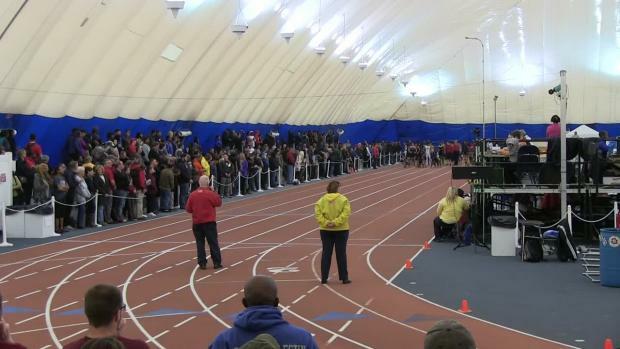 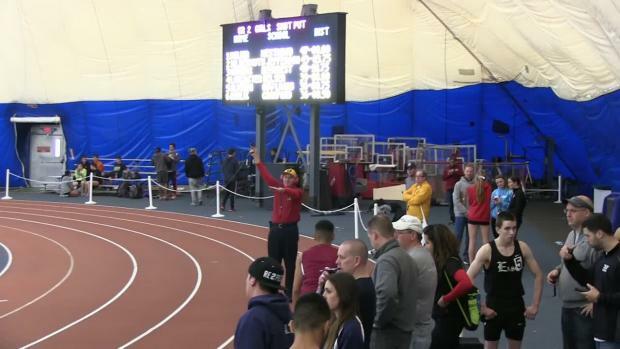 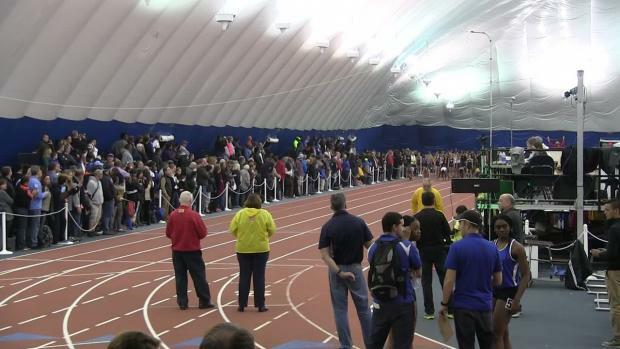 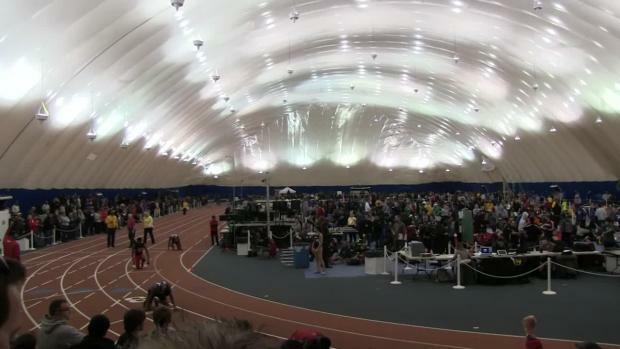 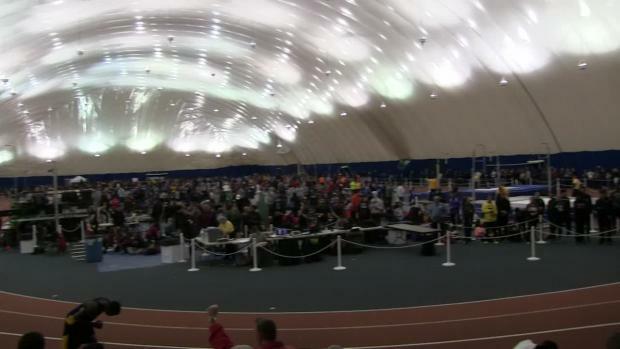 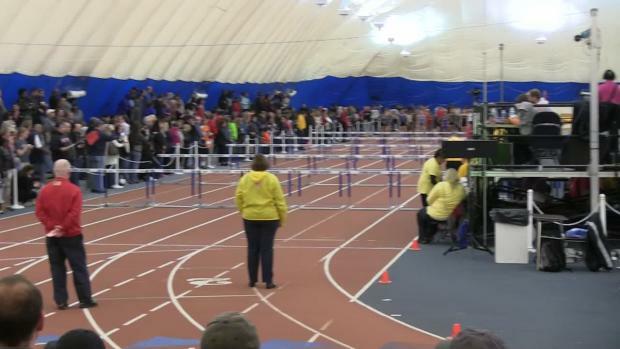 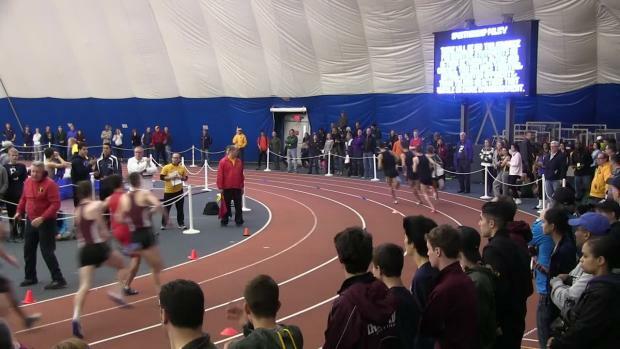 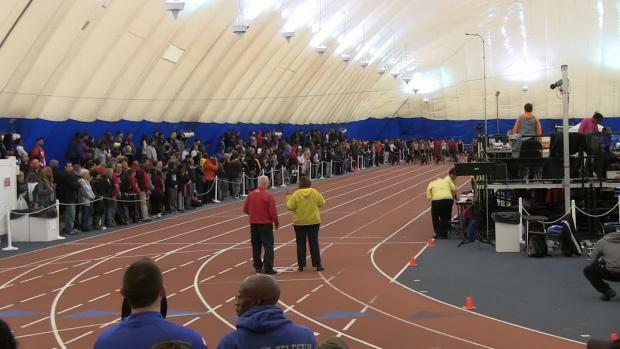 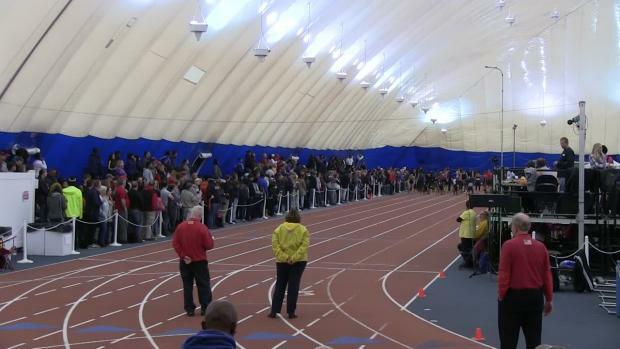 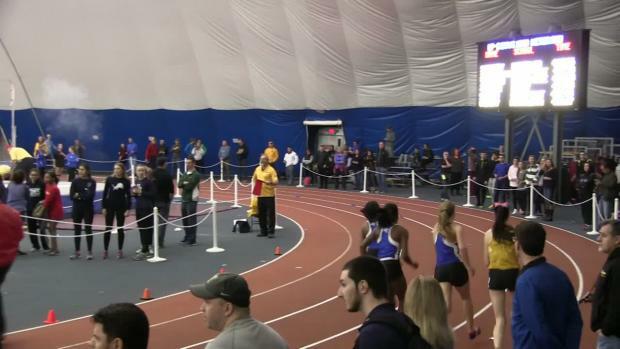 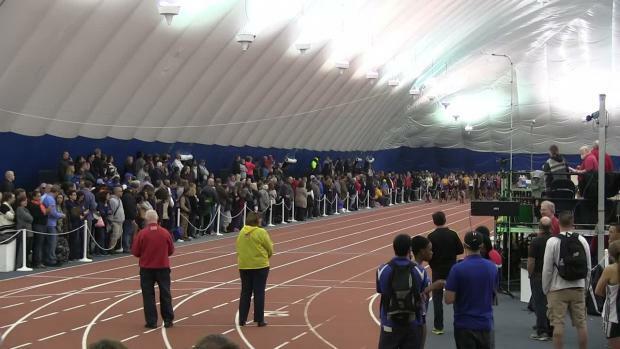 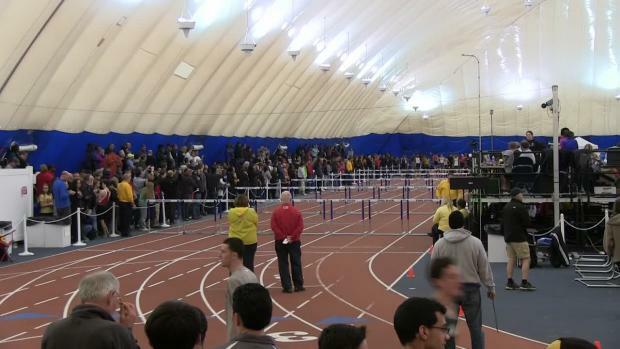 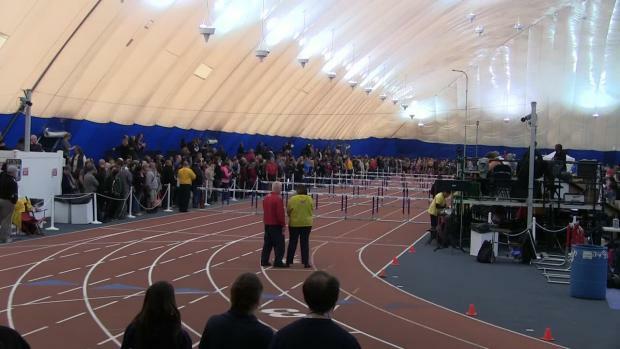 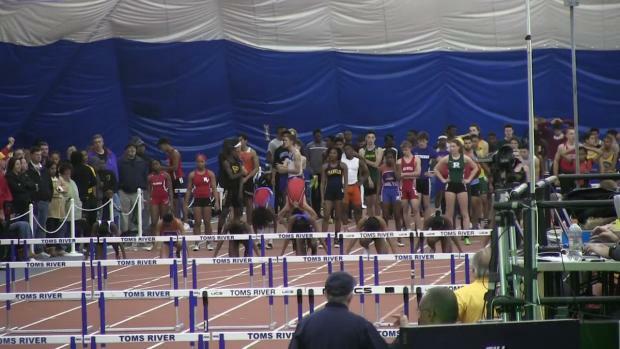 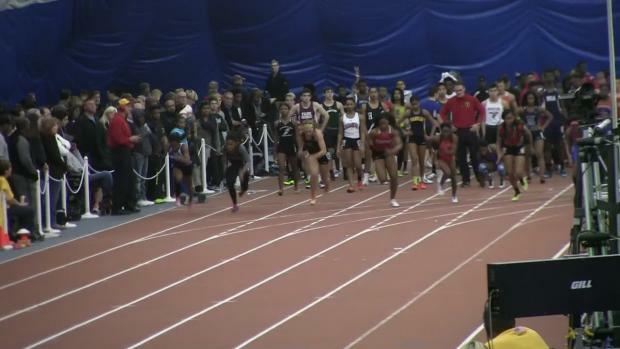 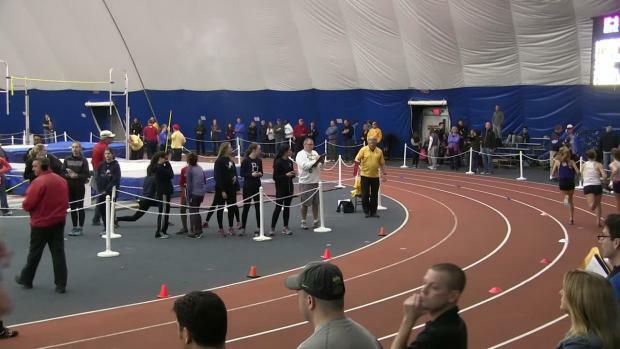 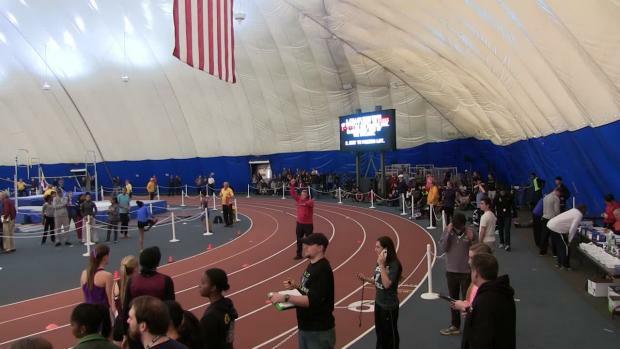 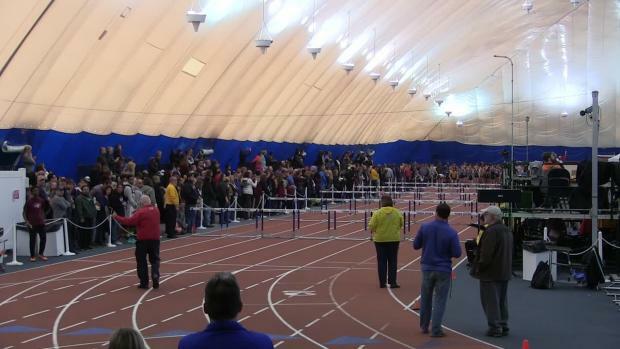 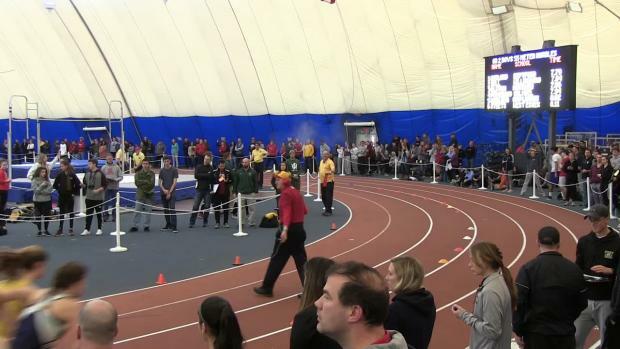 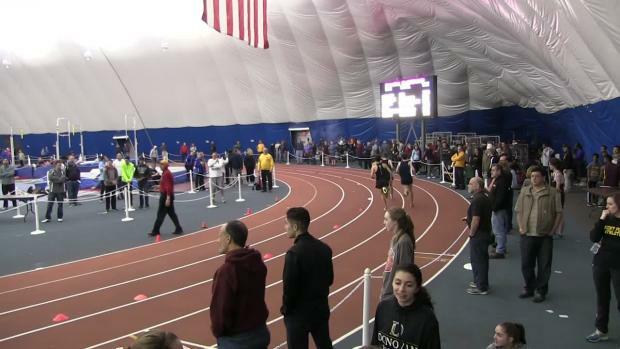 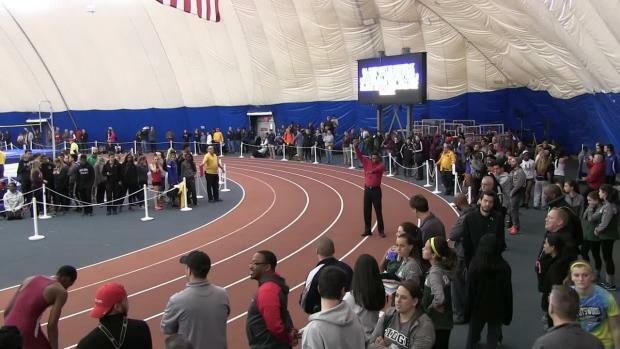 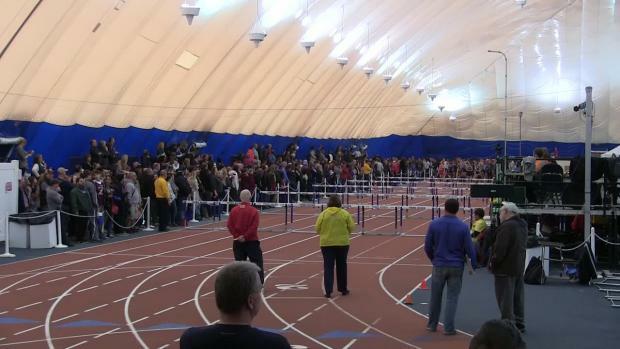 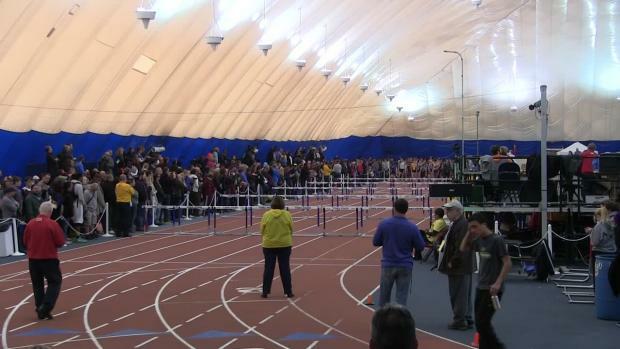 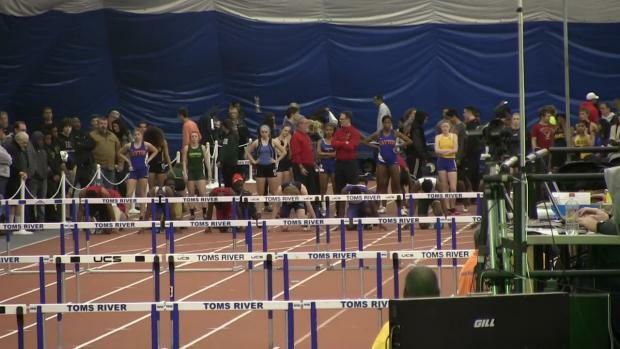 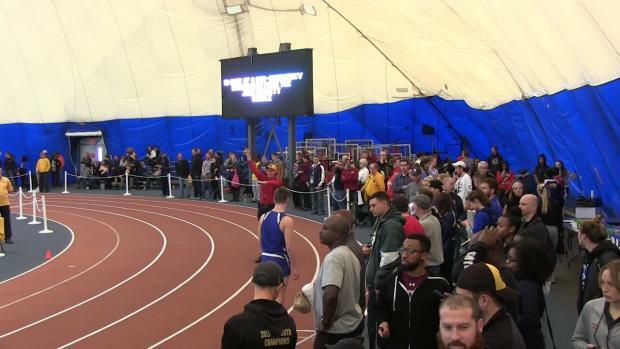 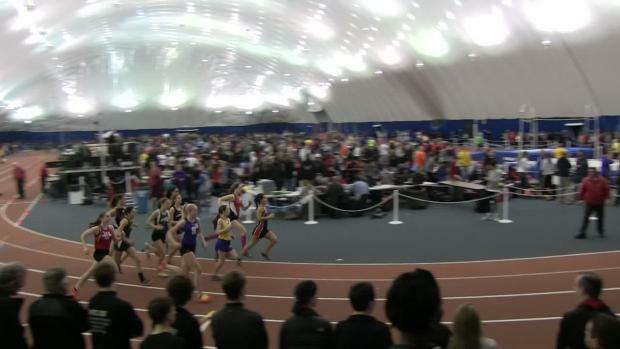 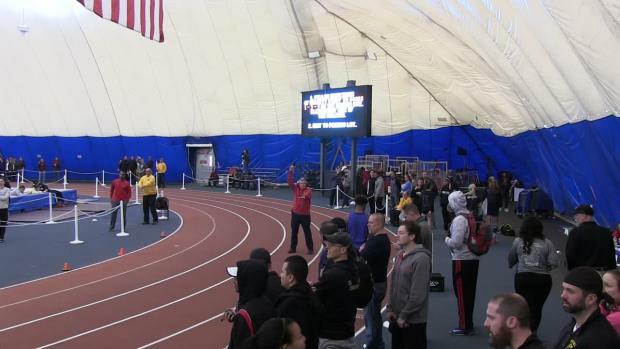 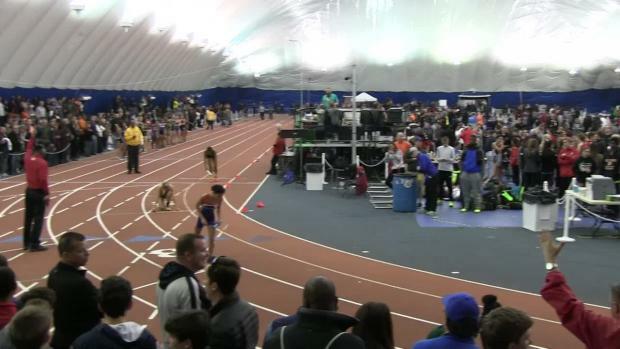 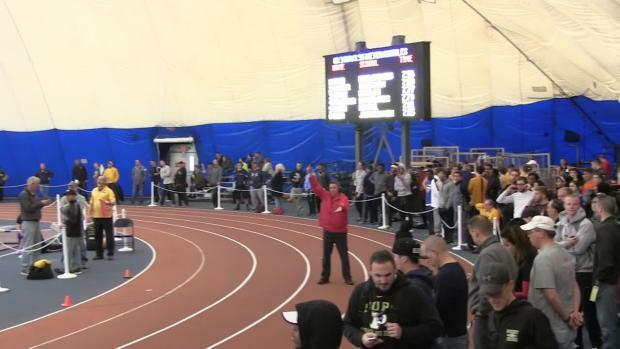 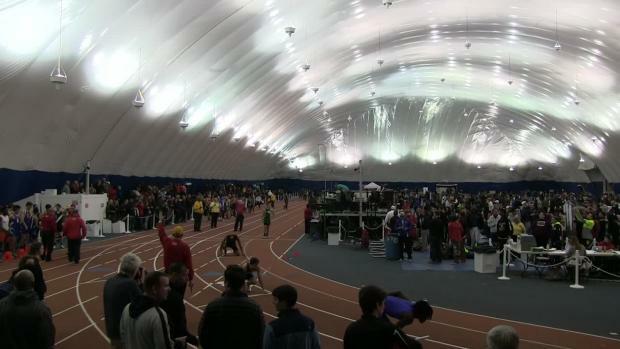 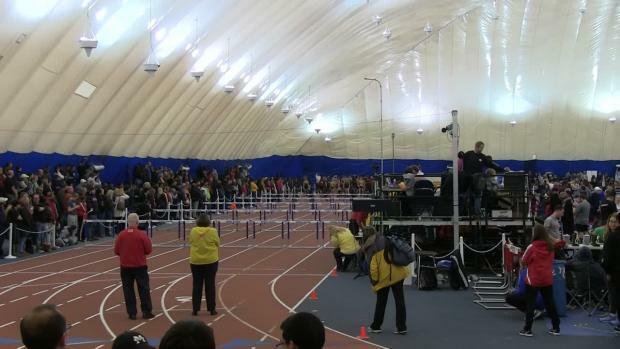 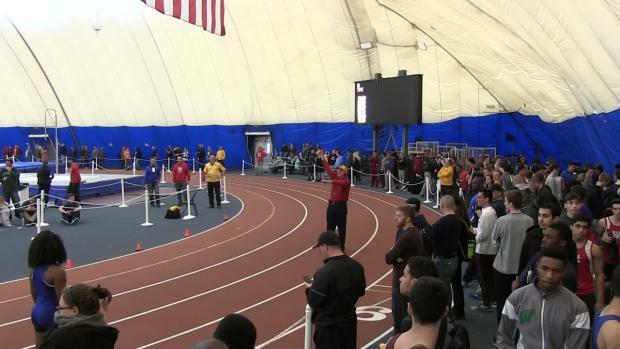 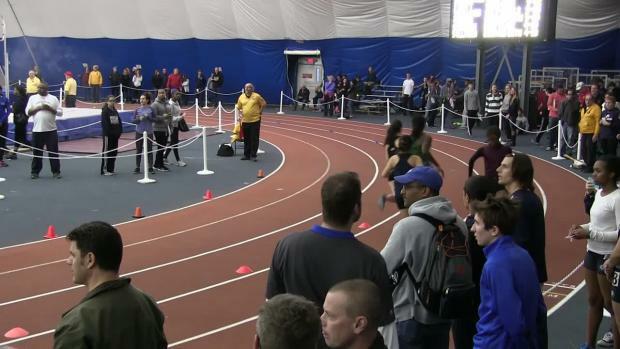 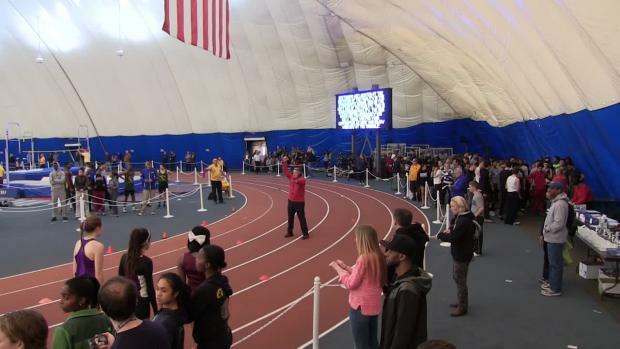 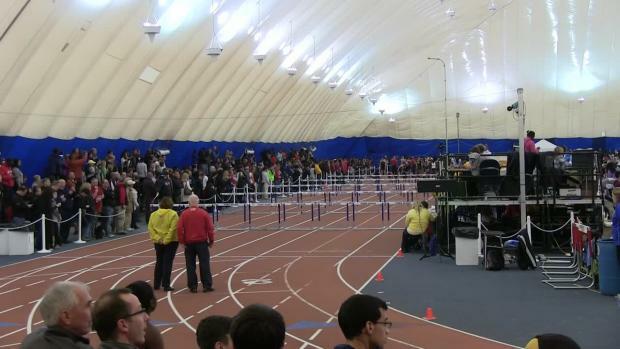 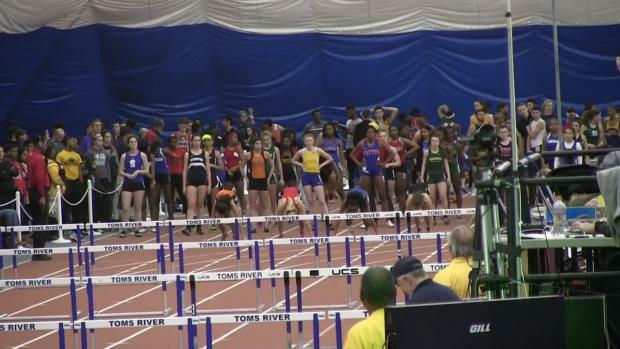 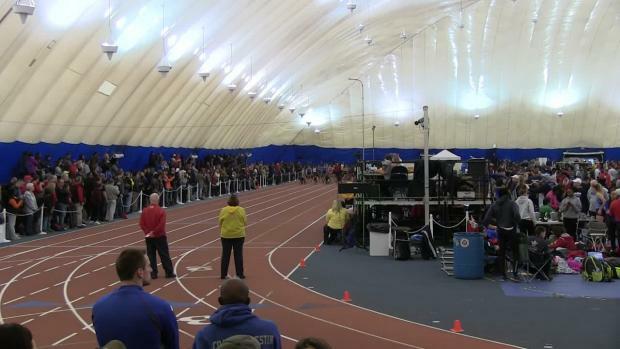 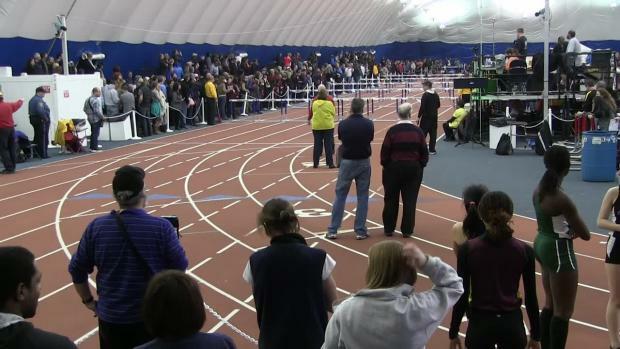 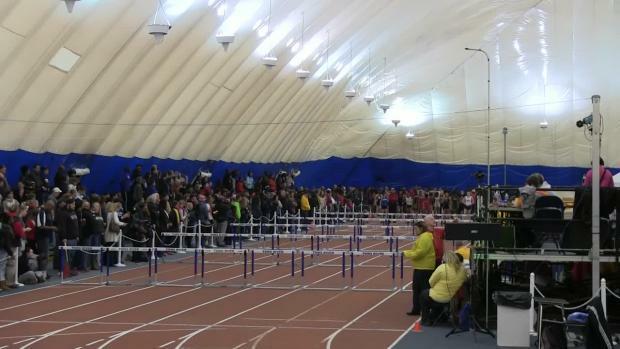 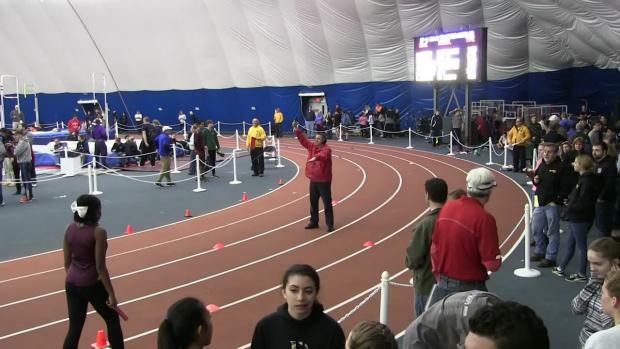 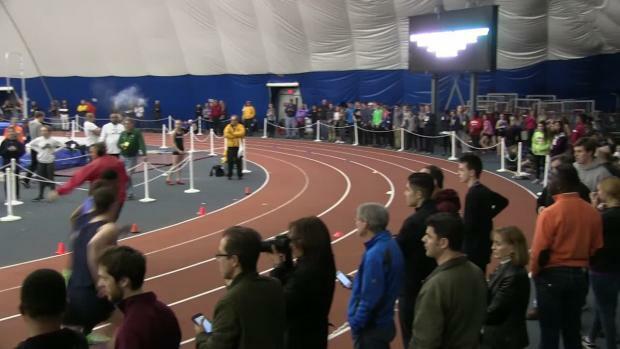 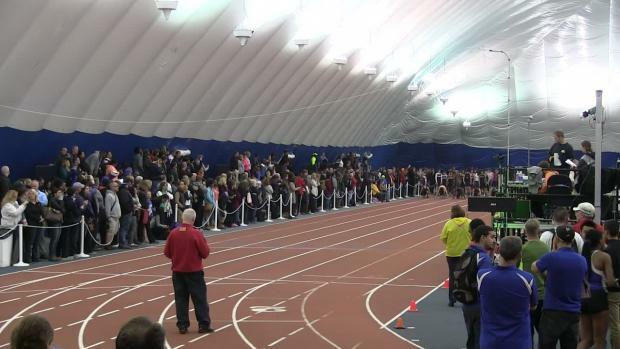 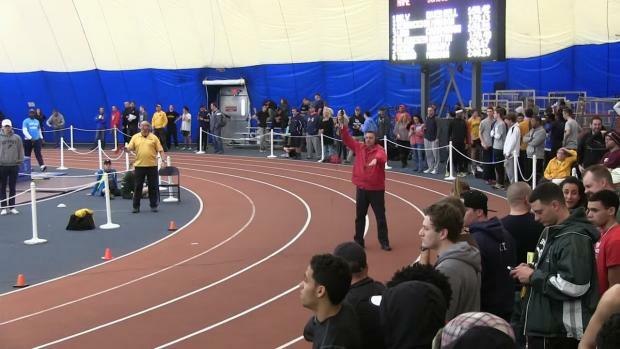 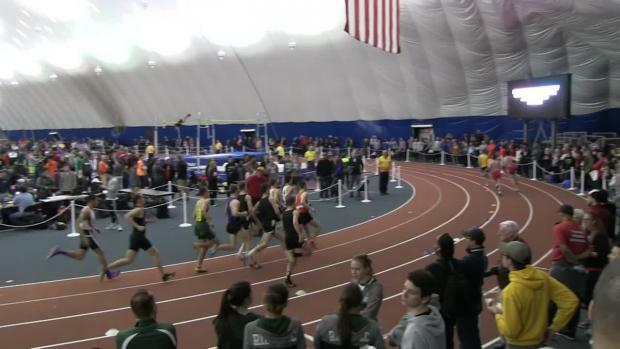 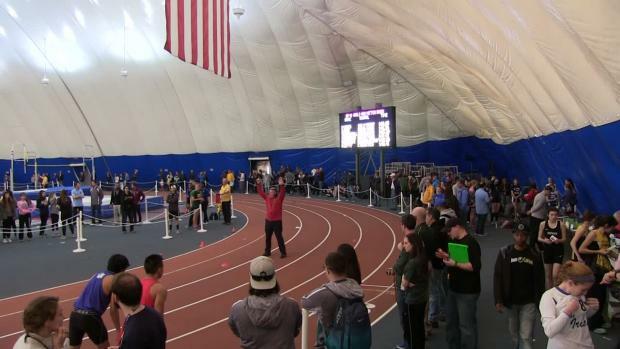 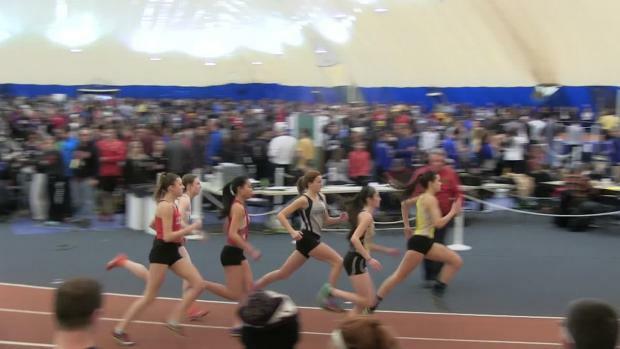 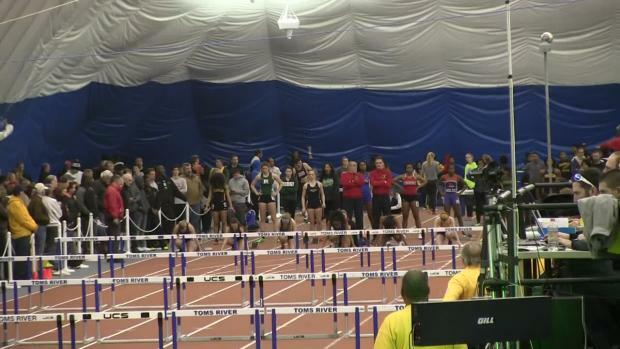 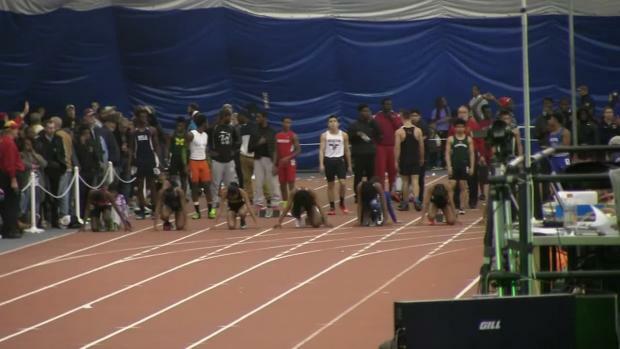 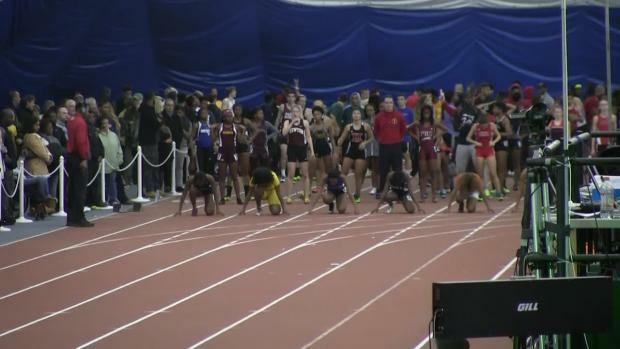 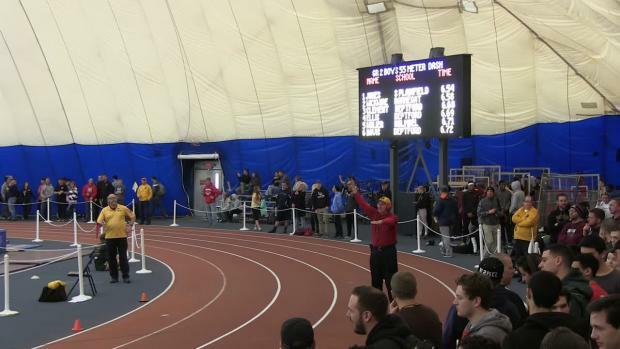 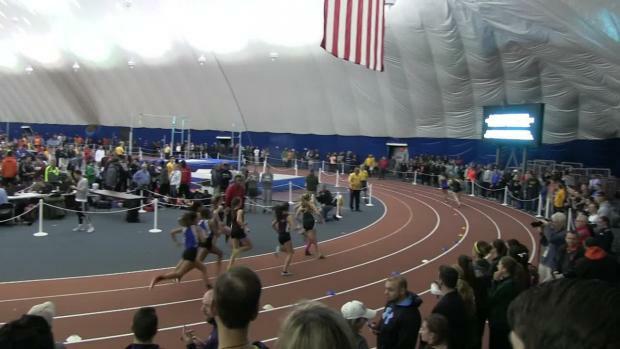 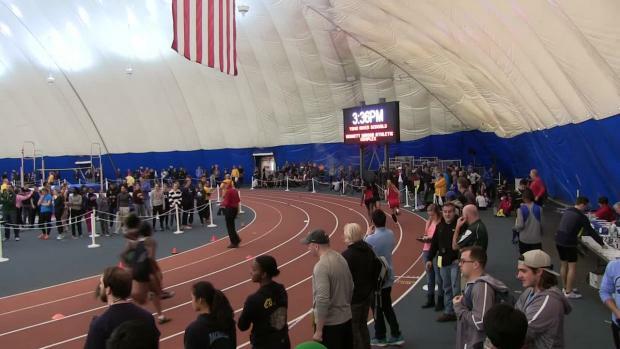 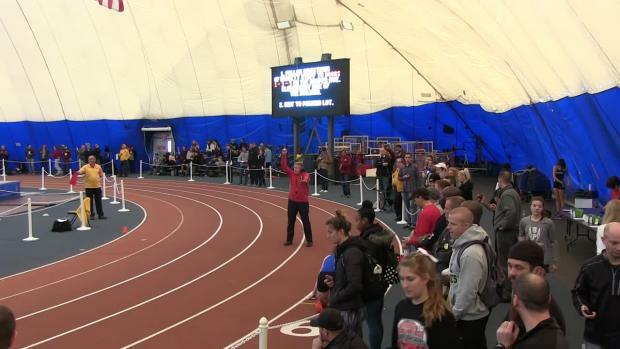 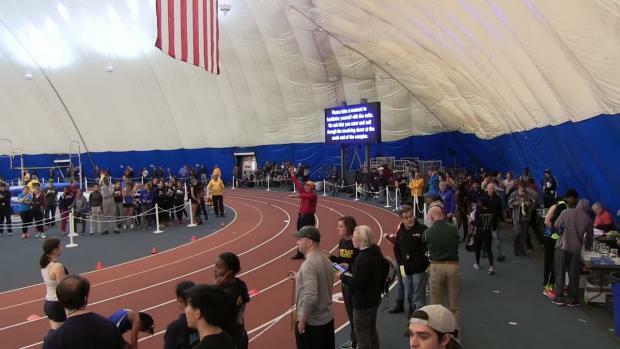 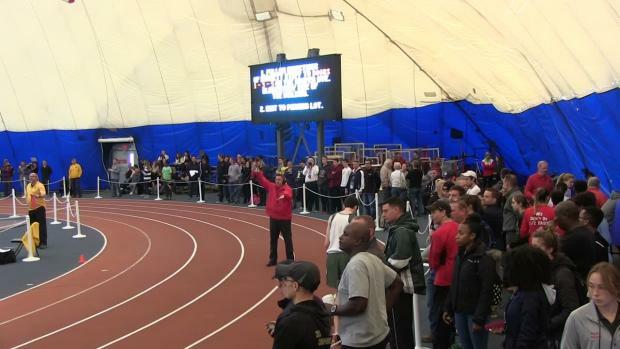 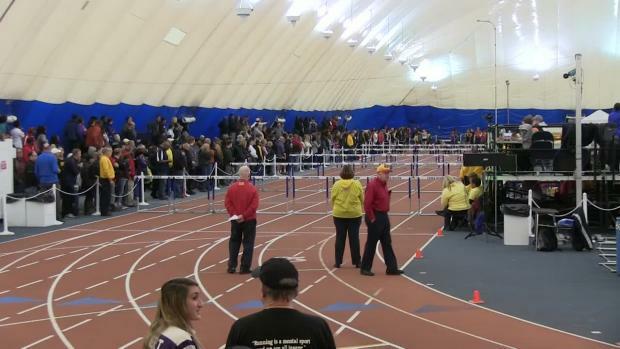 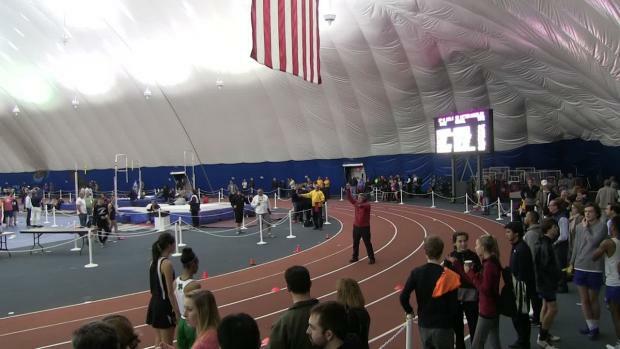 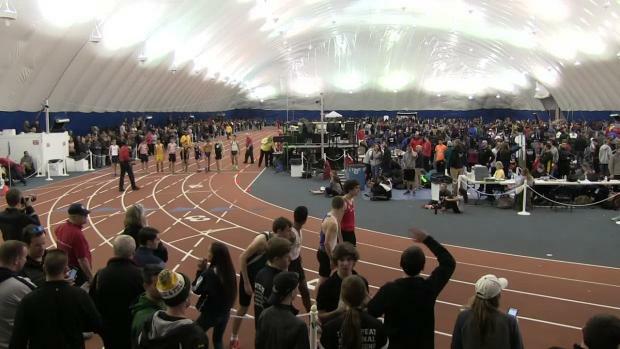 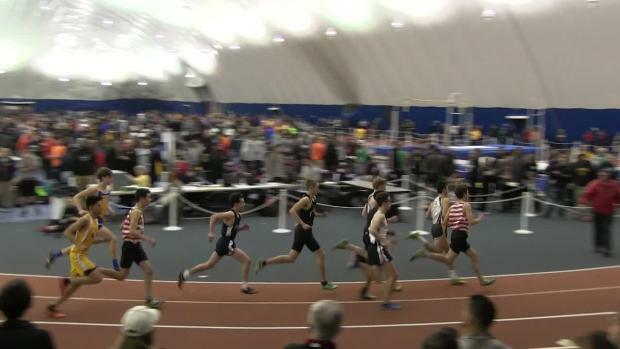 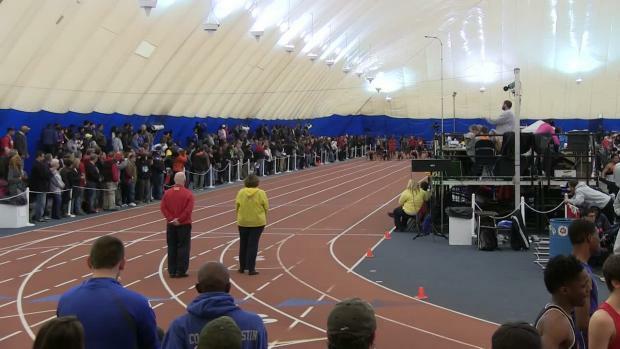 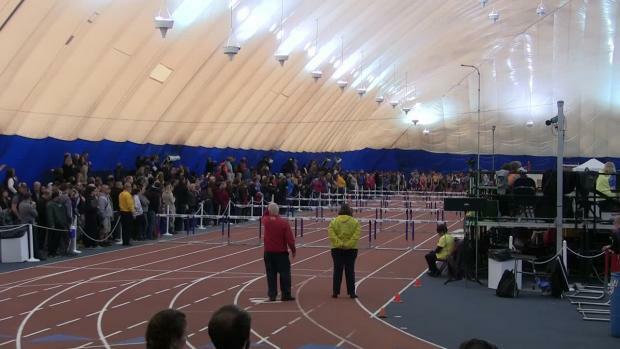 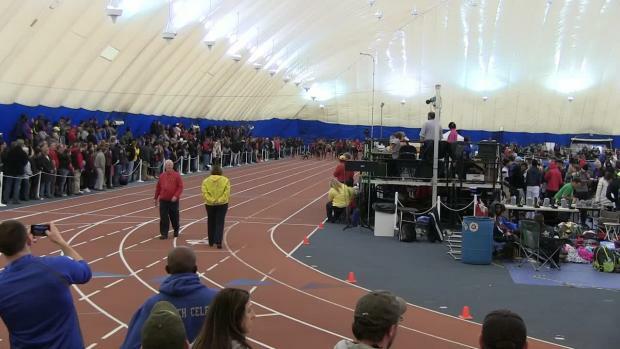 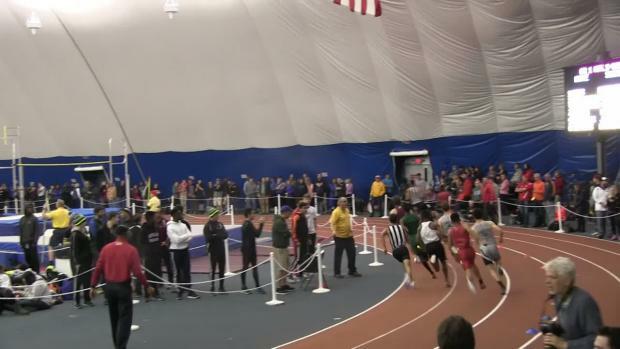 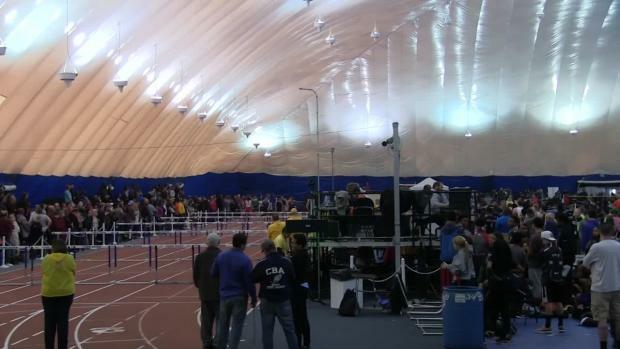 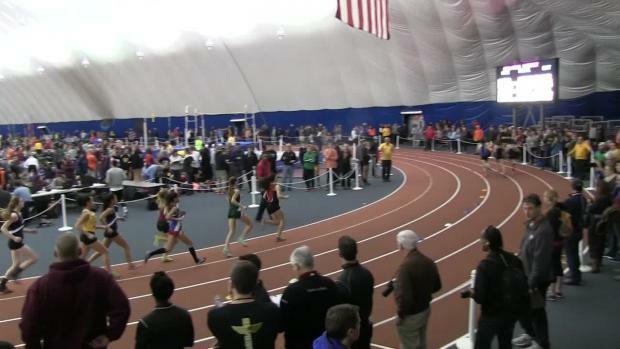 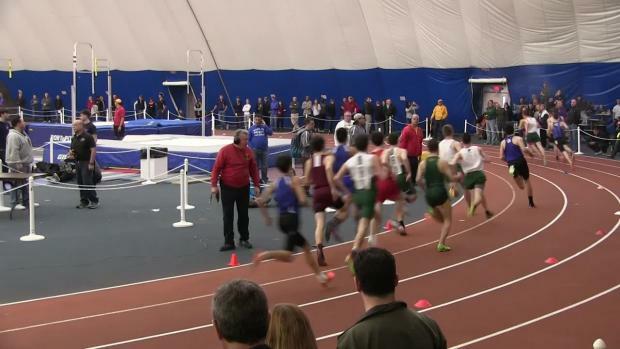 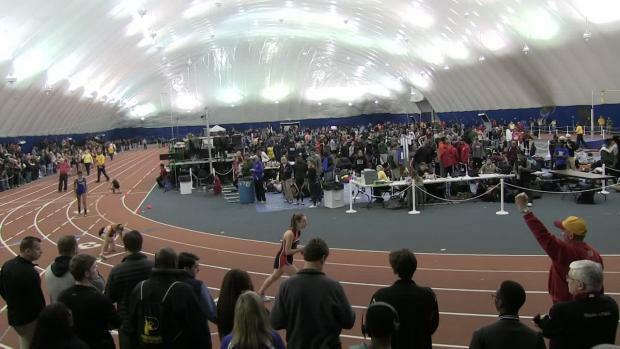 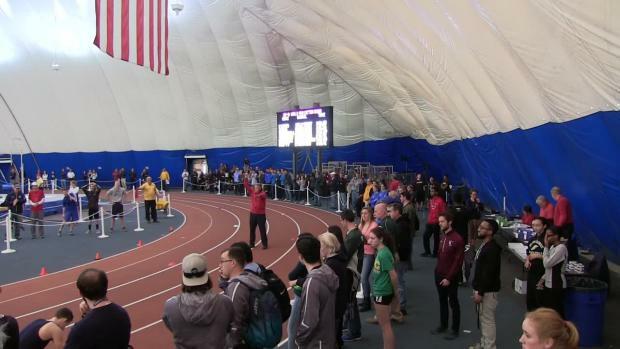 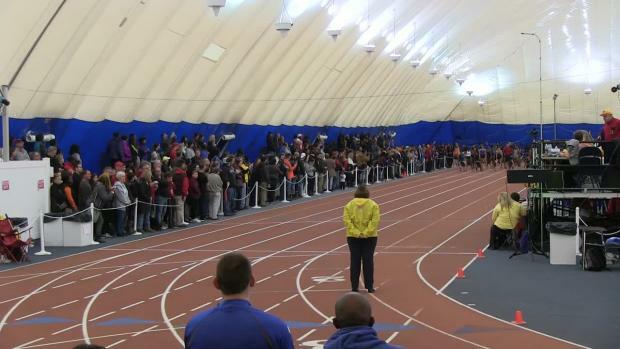 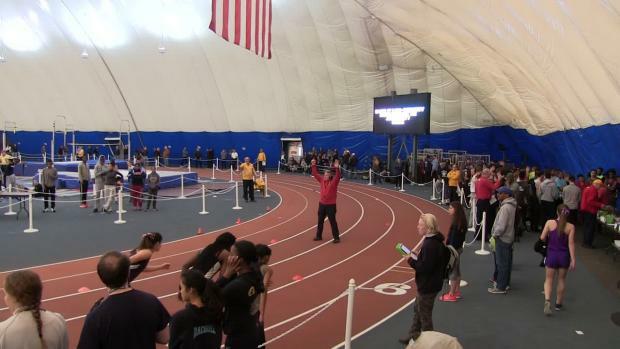 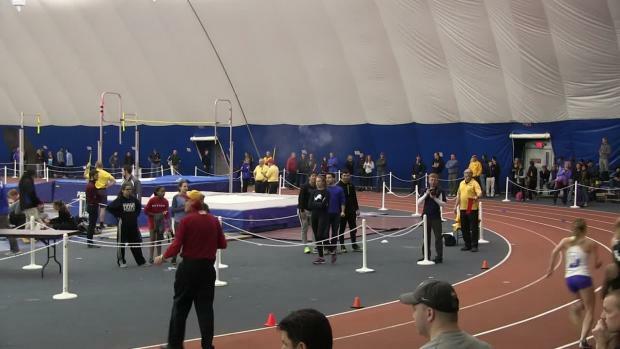 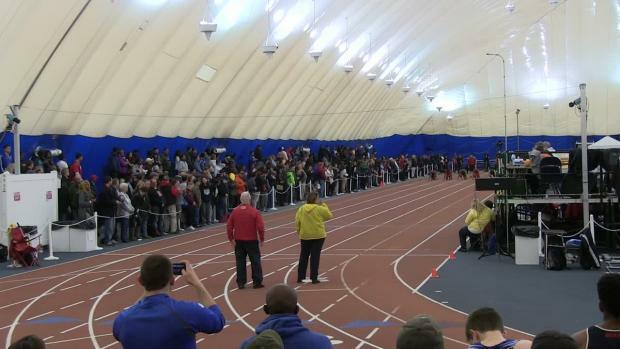 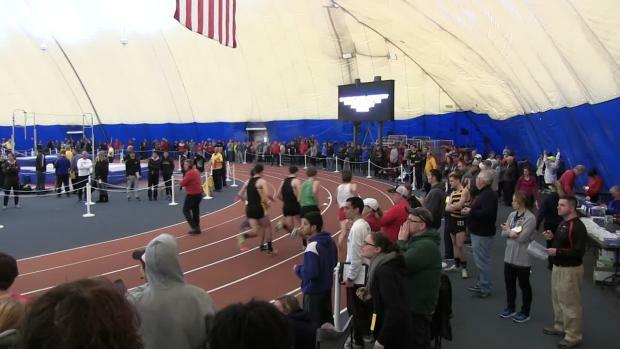 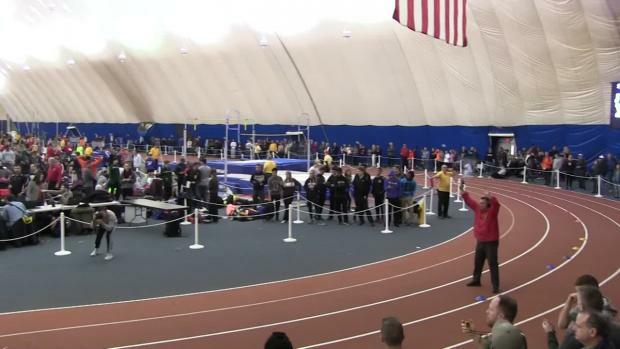 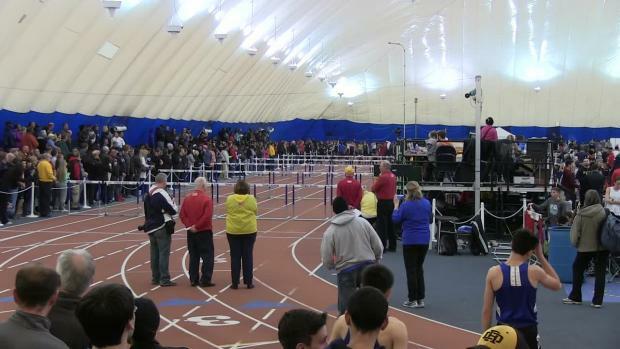 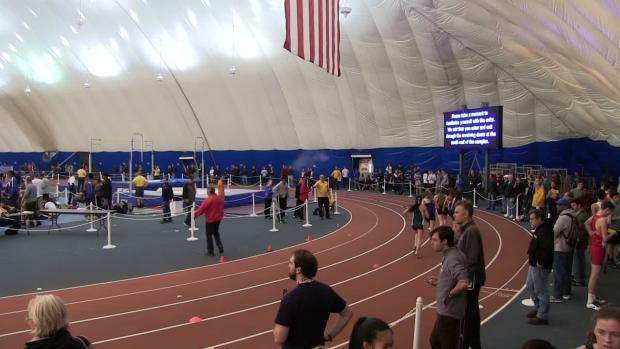 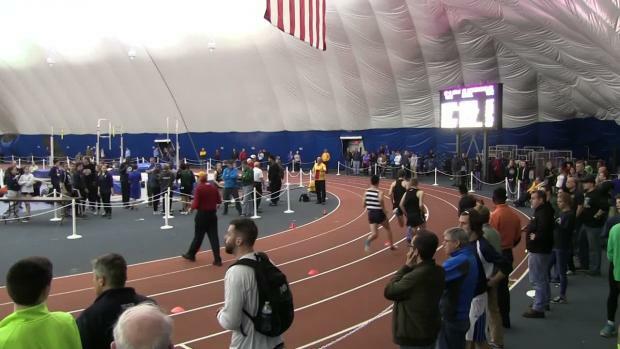 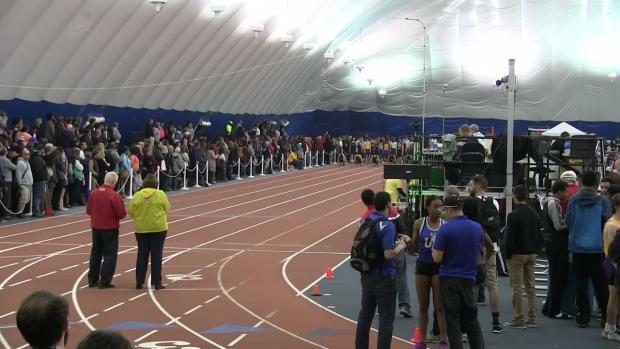 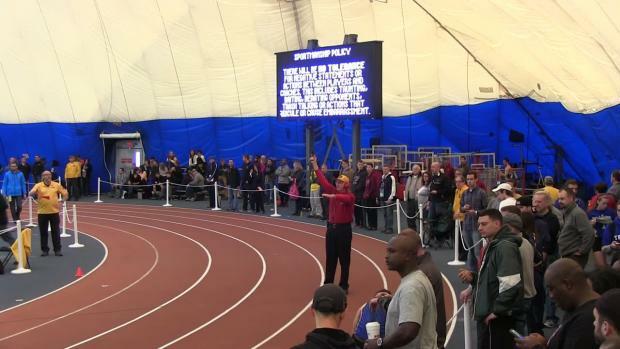 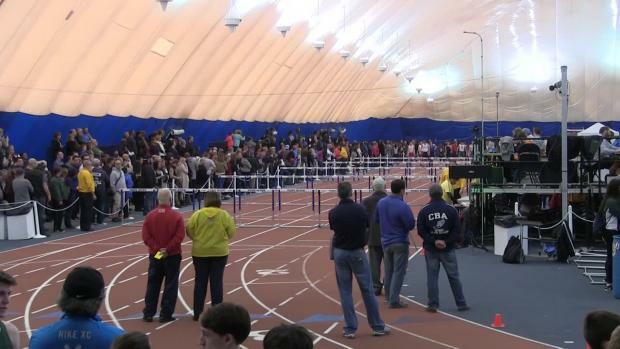 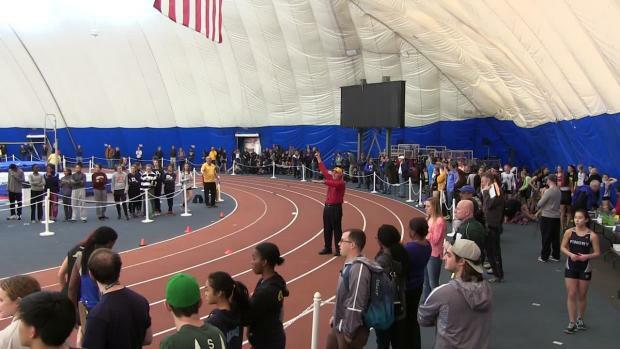 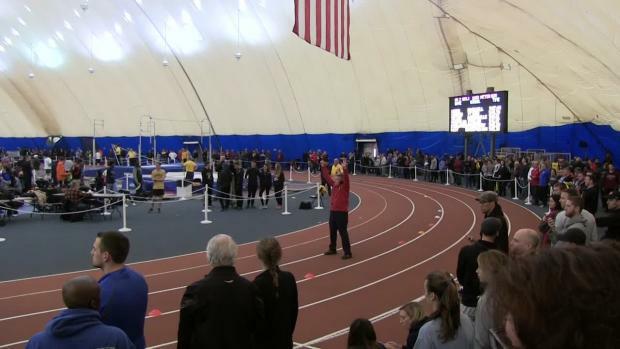 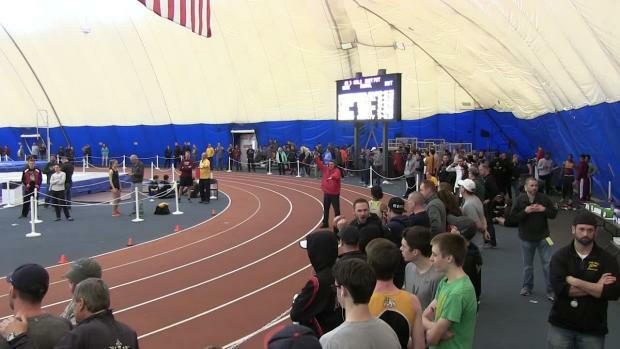 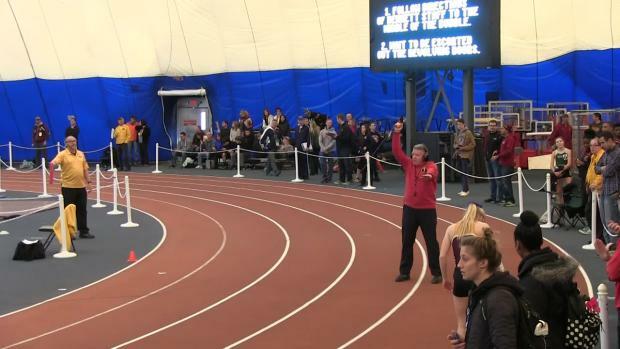 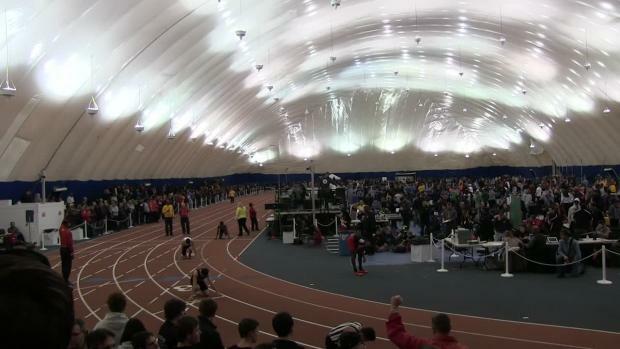 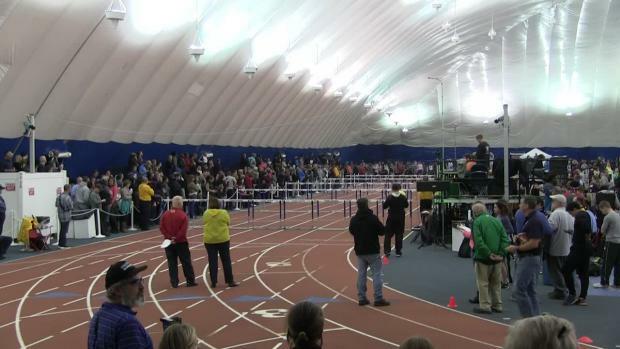 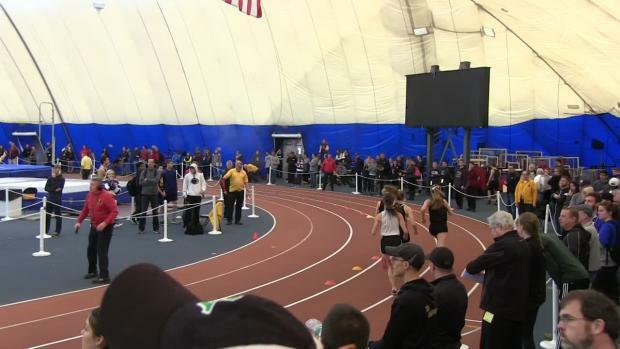 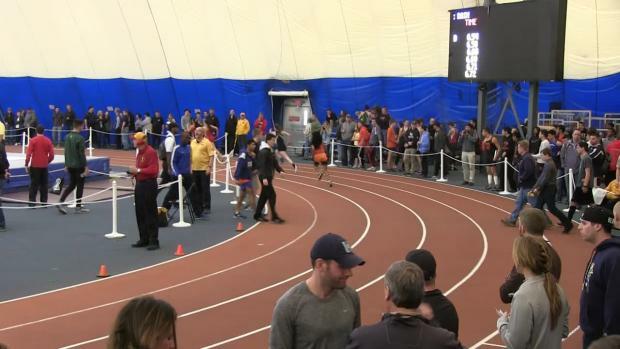 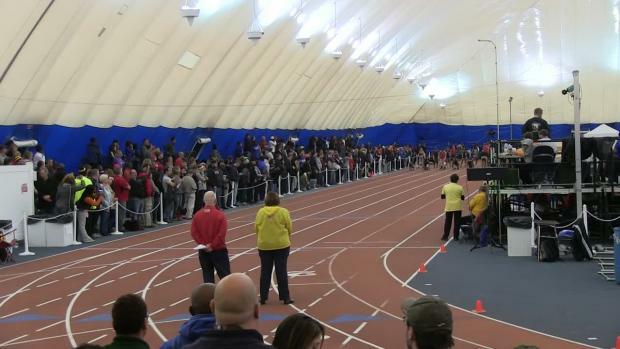 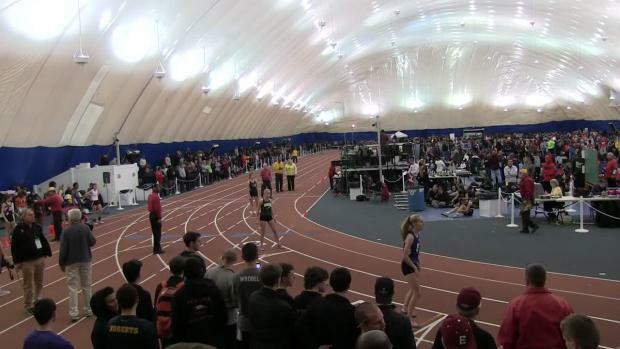 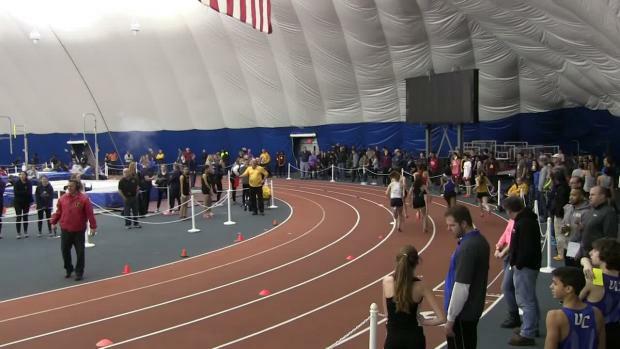 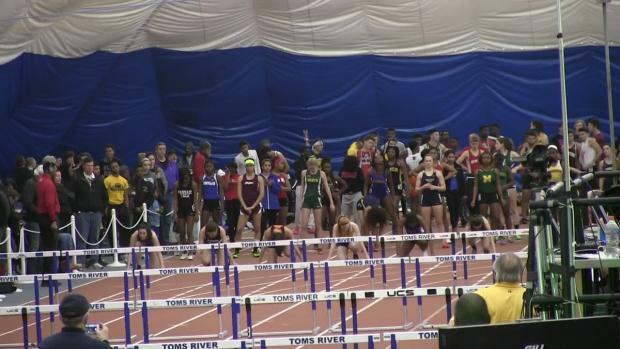 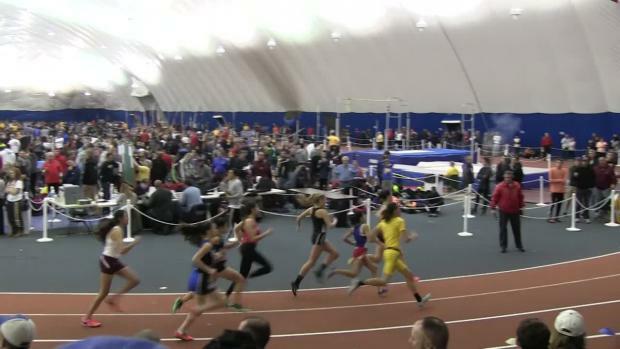 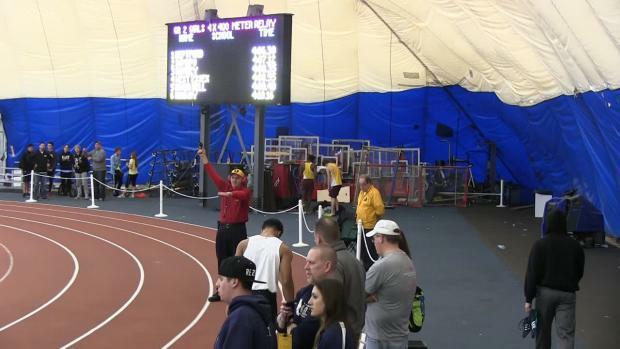 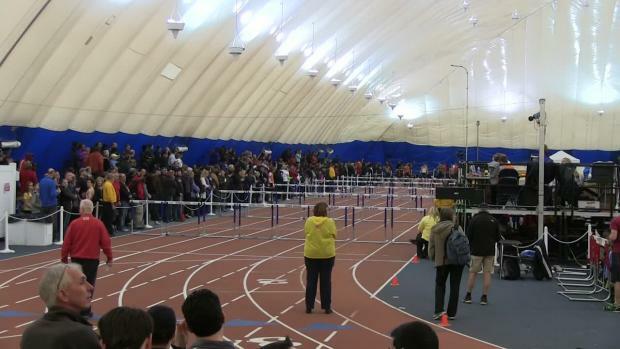 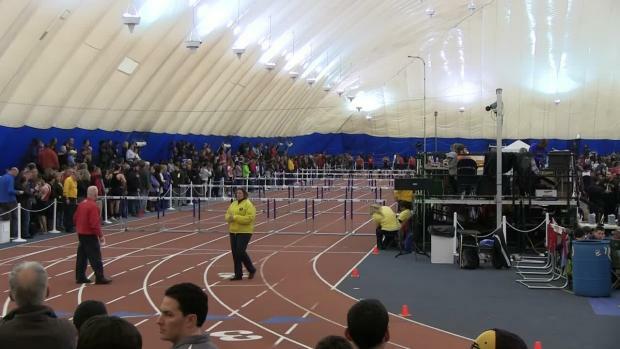 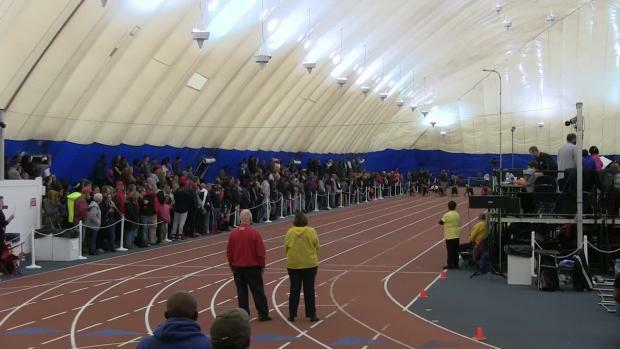 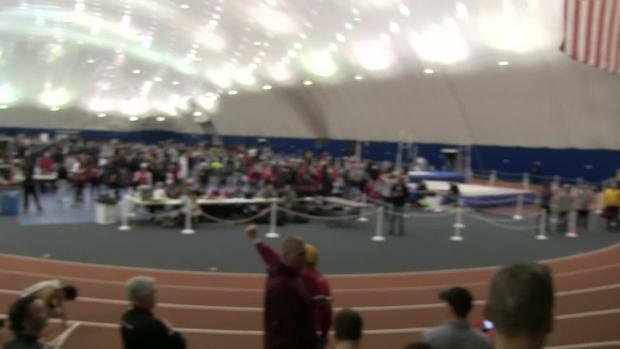 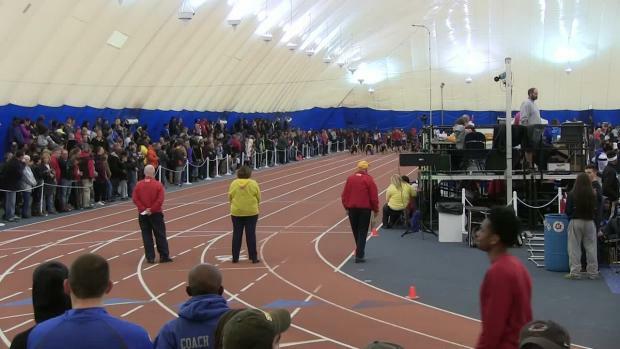 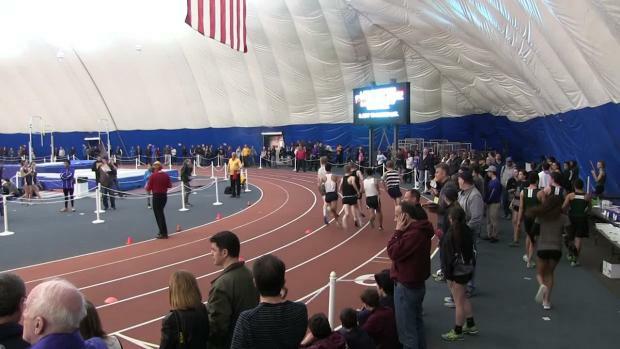 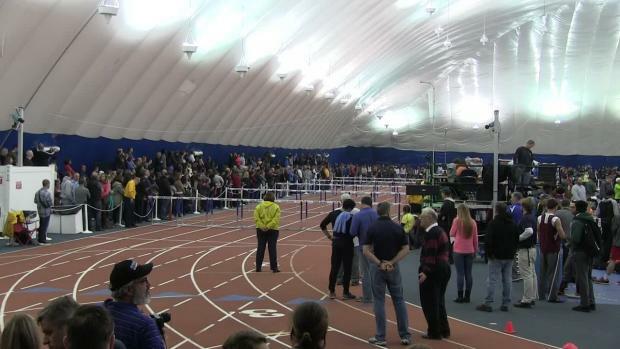 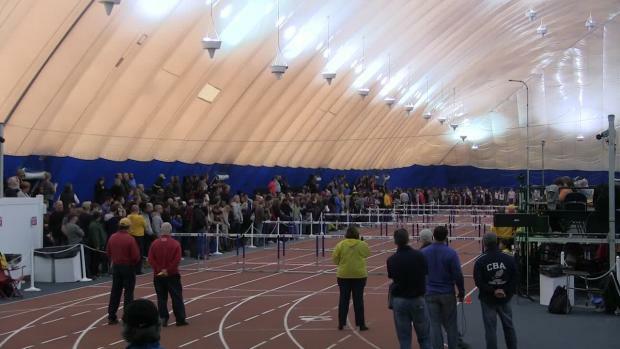 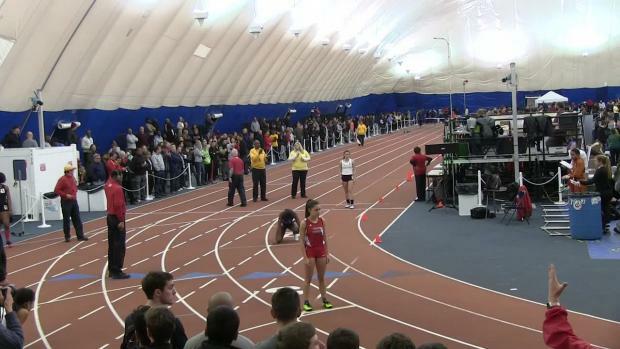 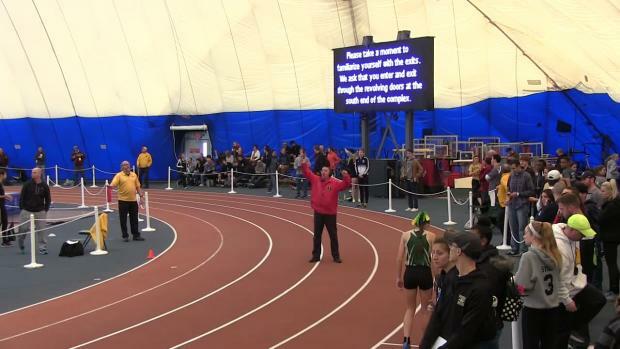 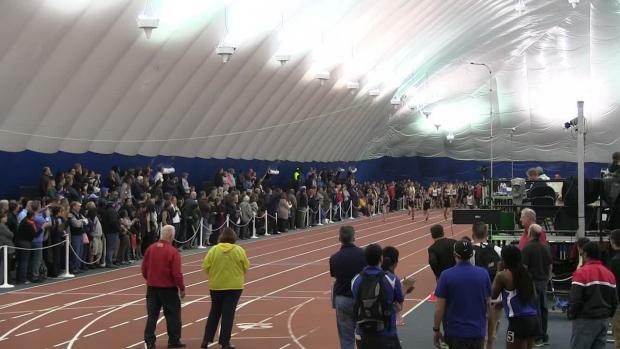 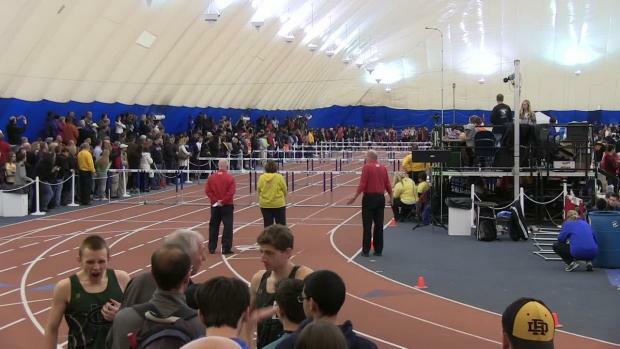 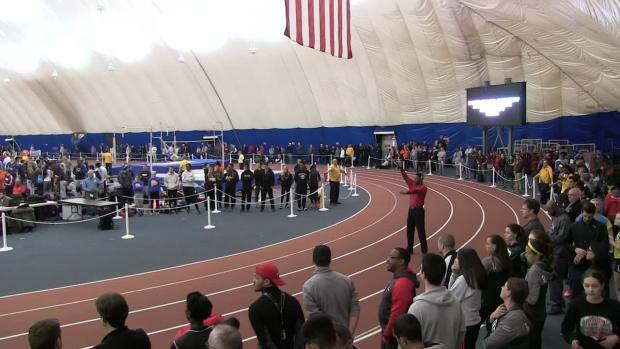 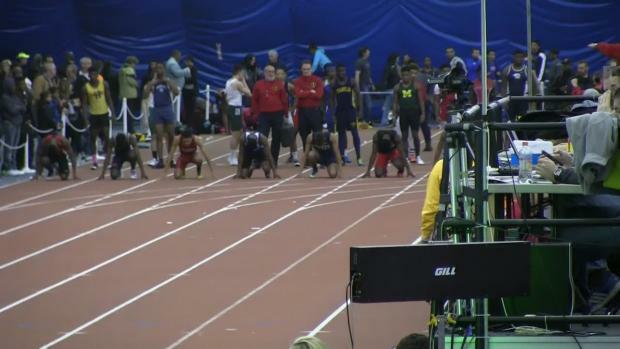 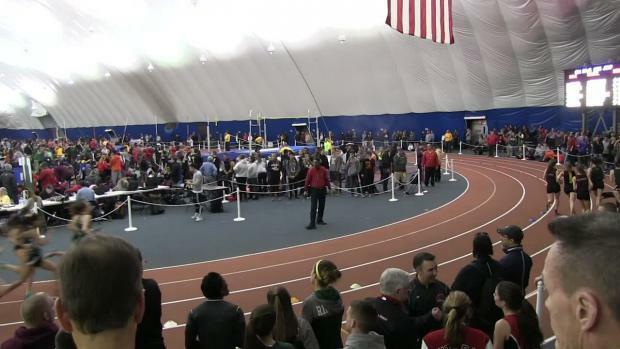 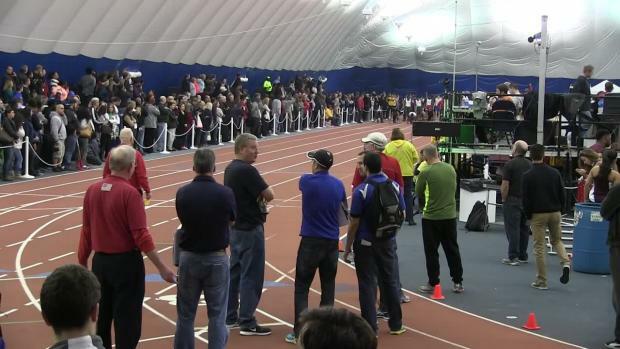 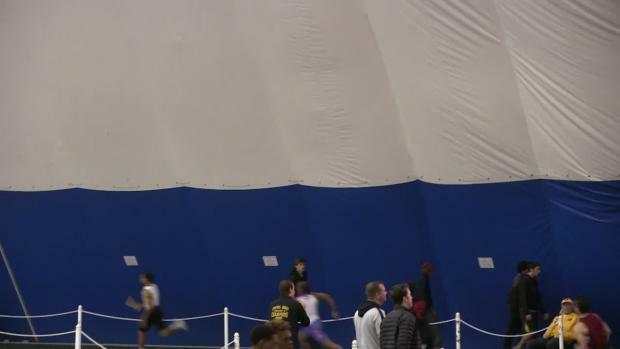 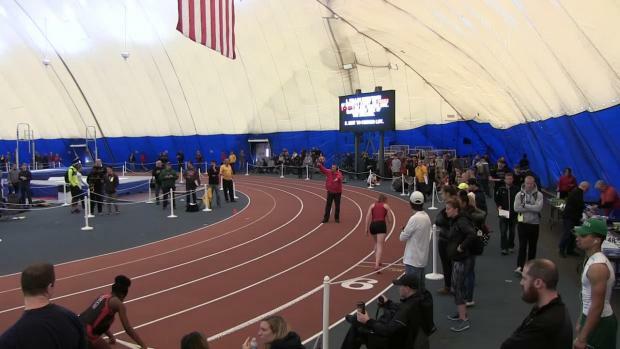 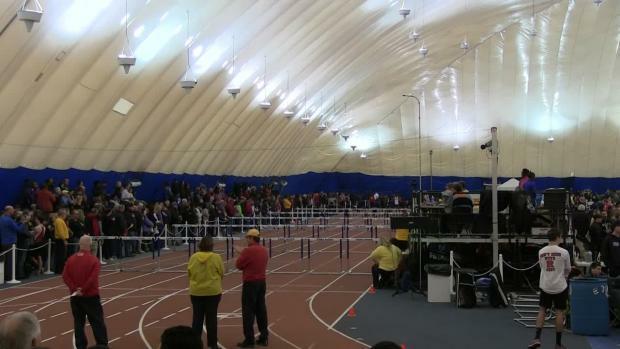 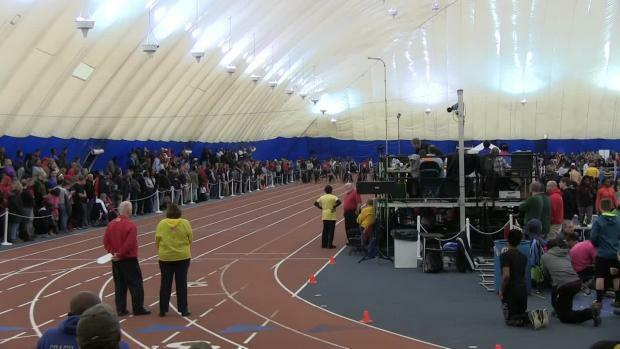 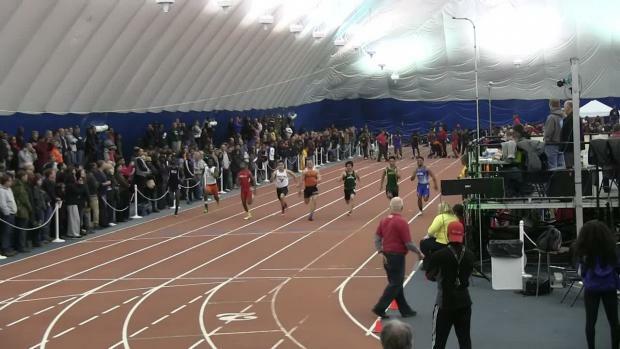 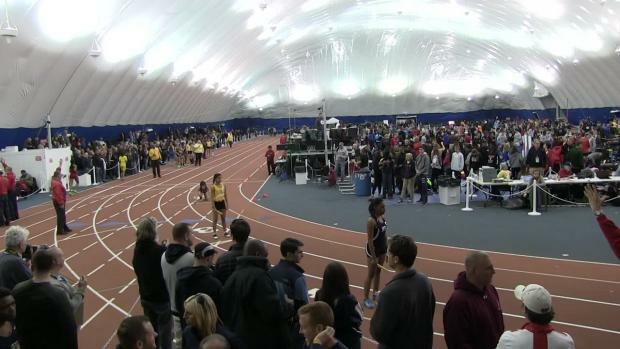 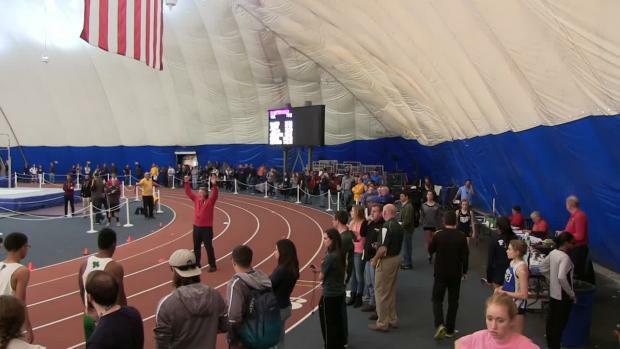 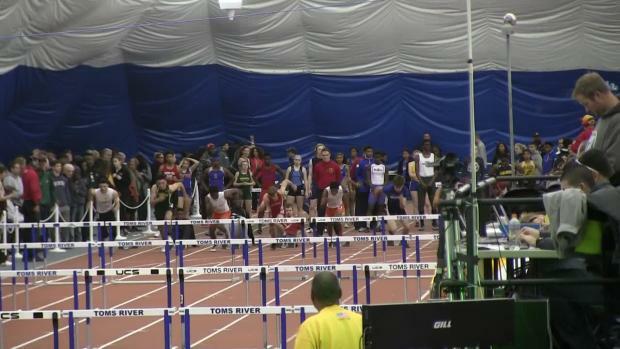 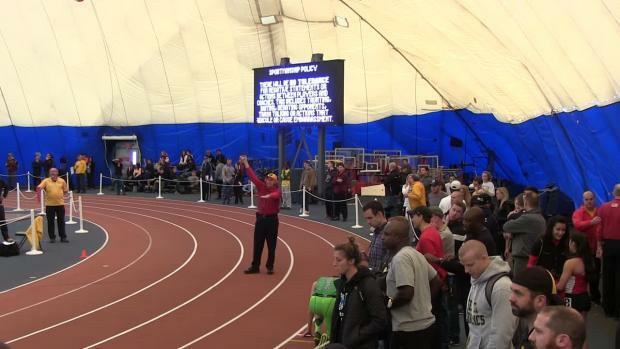 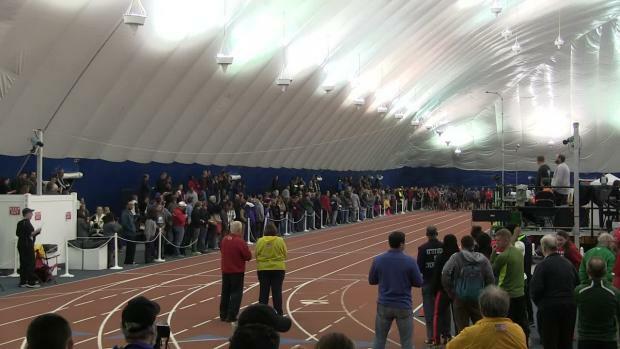 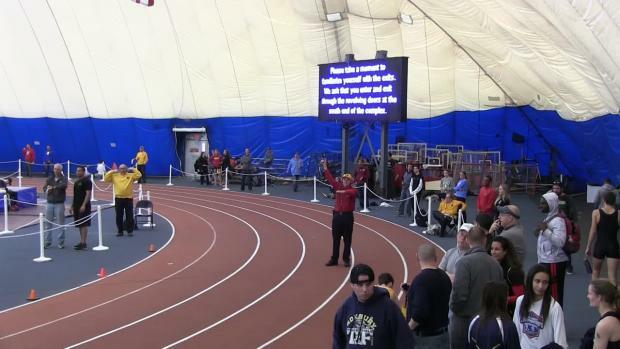 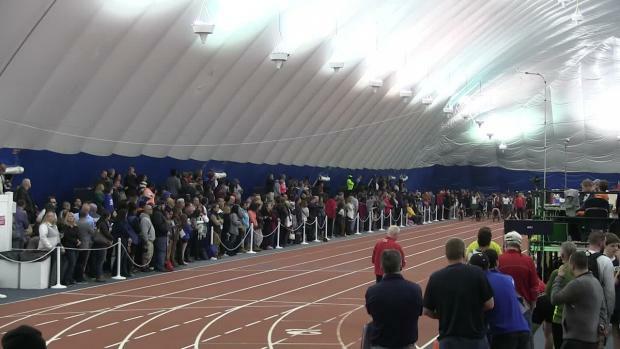 Watch the Group merge leading and NJ#1 time in the girls 800m. 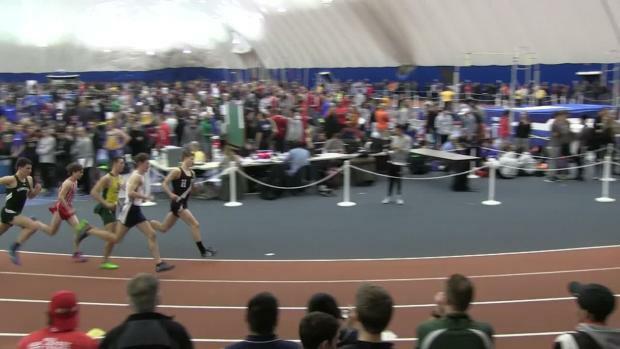 Brandon Tubby of Hillsborough won the Group 4 1600 meter state title last weekend running 4:15.17. 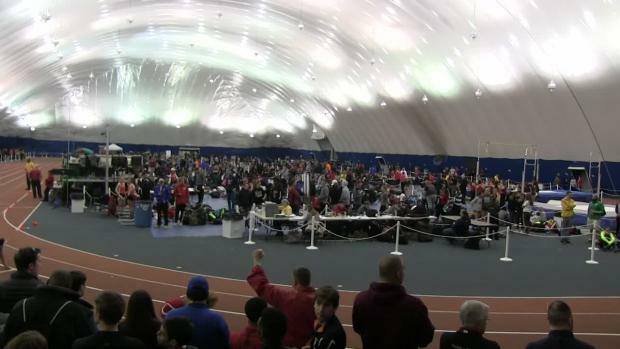 Every time and mark from Sectionals, Groups, and MOCs combined for a top 100 list. 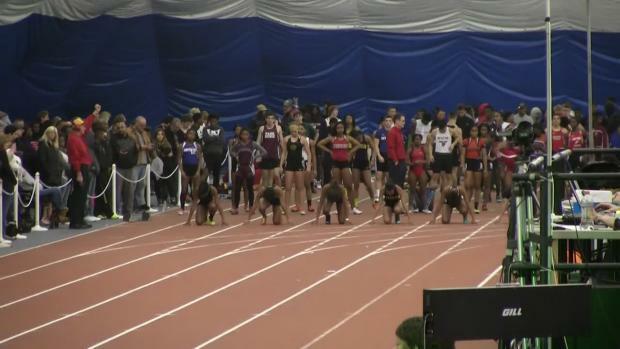 The rankings so far for the girls NPB. 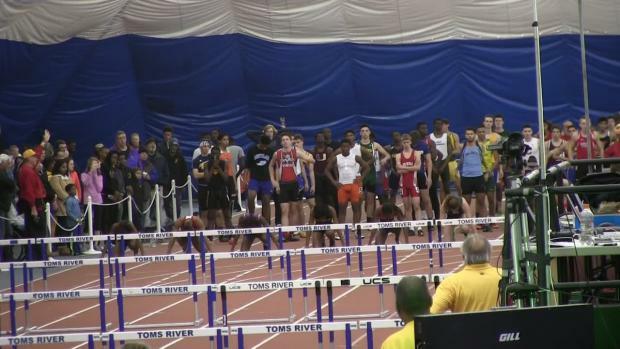 Ranking each athlete multiple times McLaughlin now has 1 and 3! 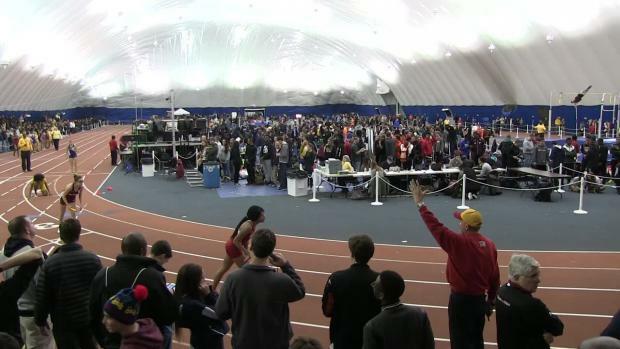 Merging all the results from the Group meets. 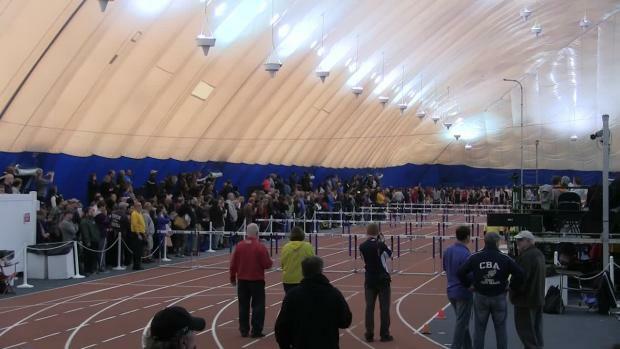 Photos are uploading from the Group 1 and 4 meet, check back as they finish. 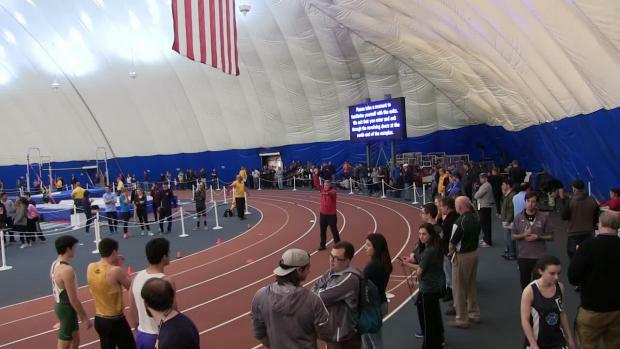 Major thanks to all that recorded: Andrew Stranieri, Megan Ford, Dan Kimple, Aaron Laserna! 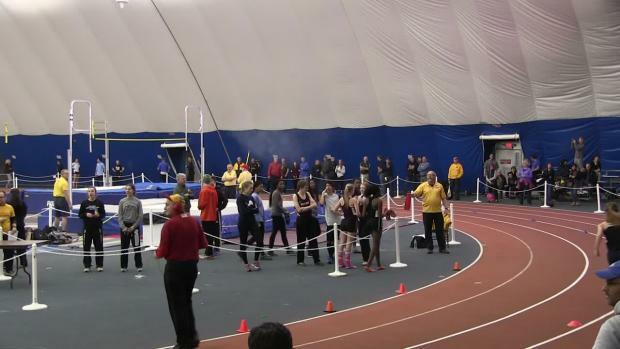 Photos from all the track events and the pole vault! 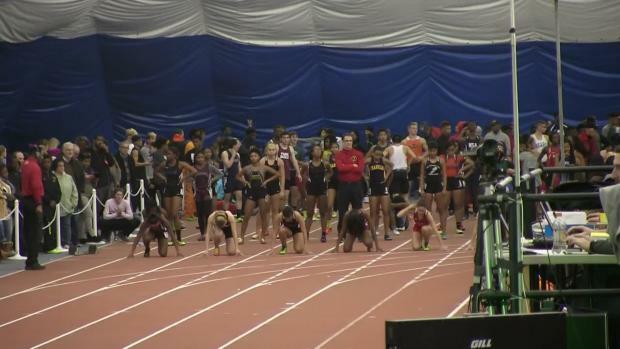 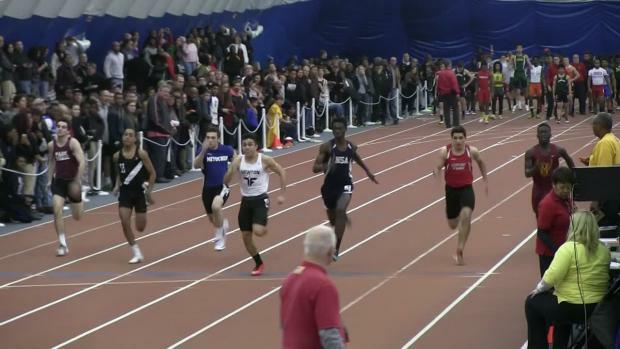 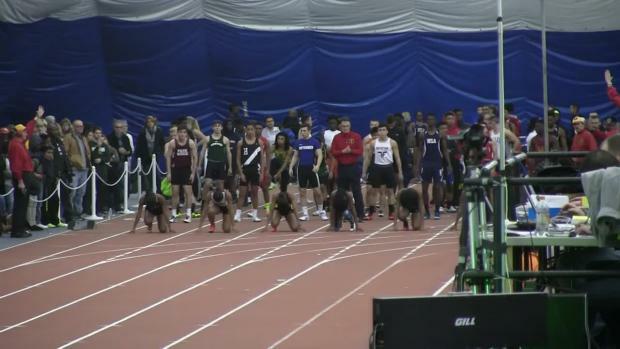 NJSIAA Group Championships 2016 - 200m?